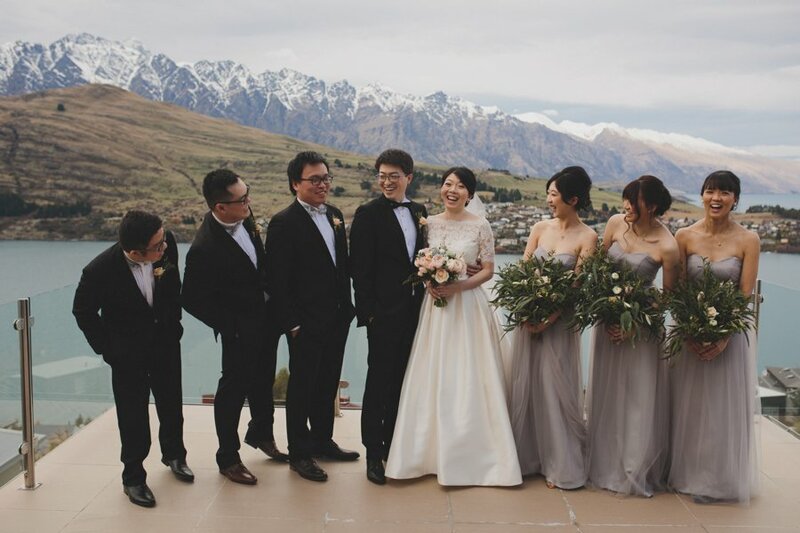 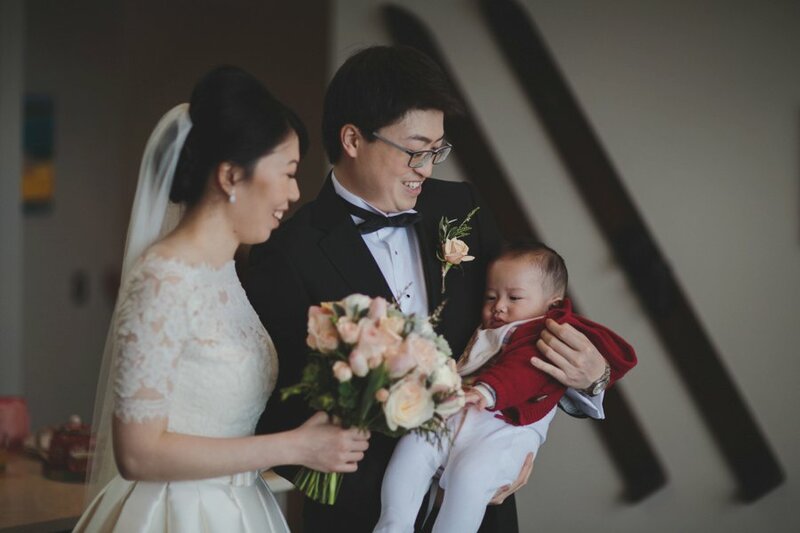 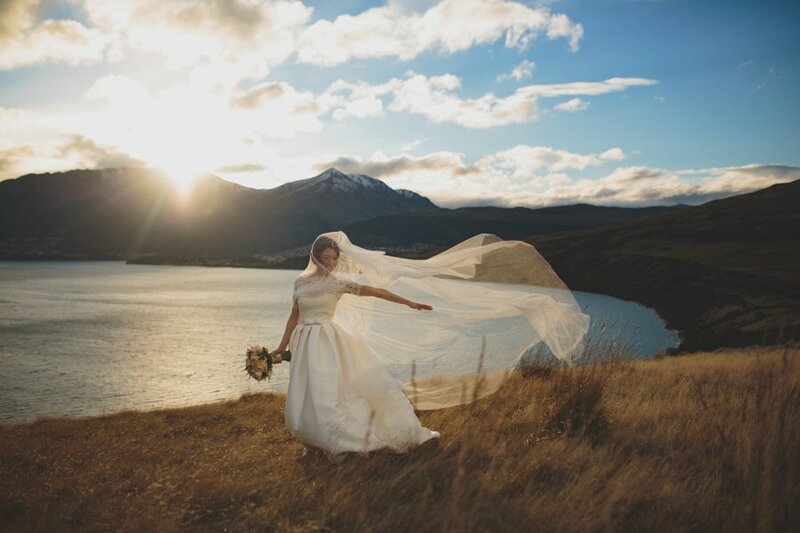 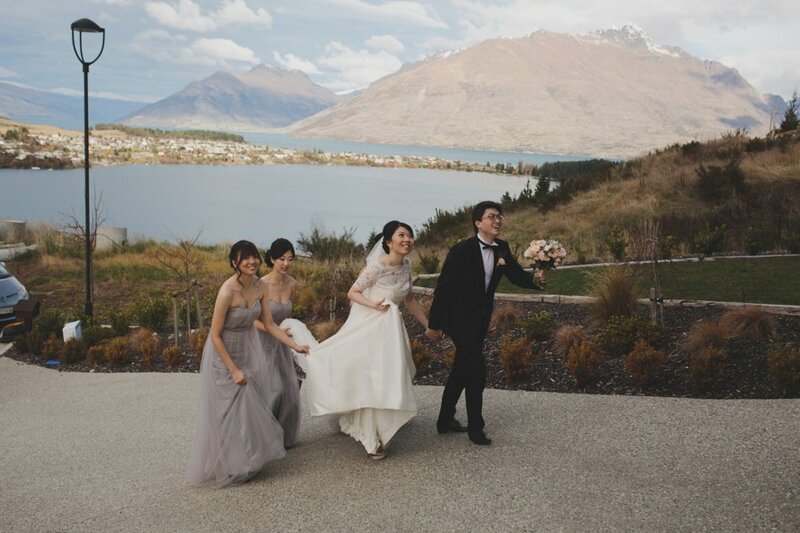 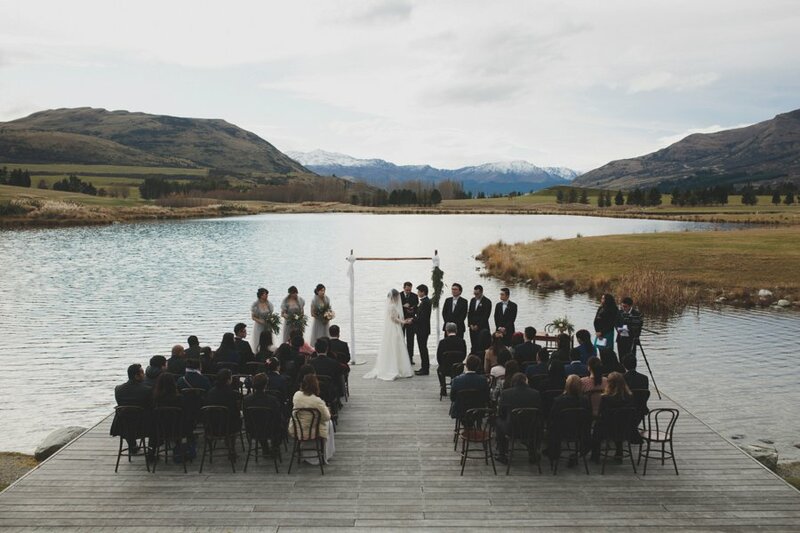 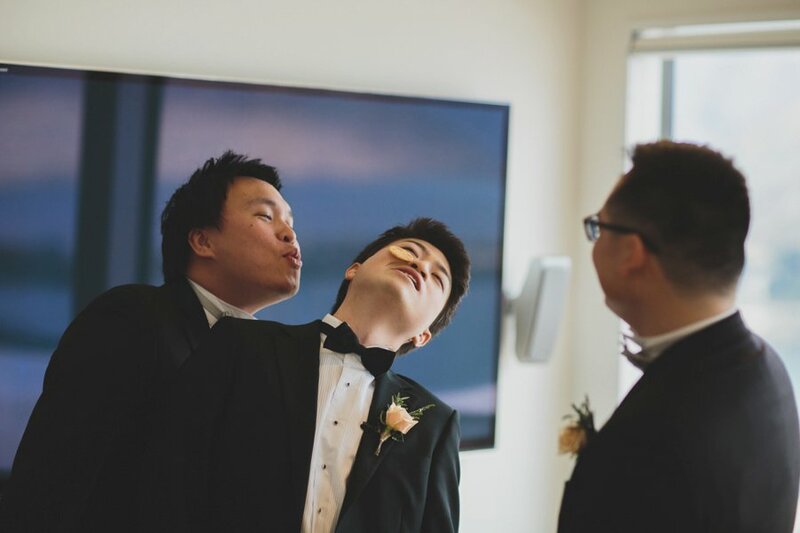 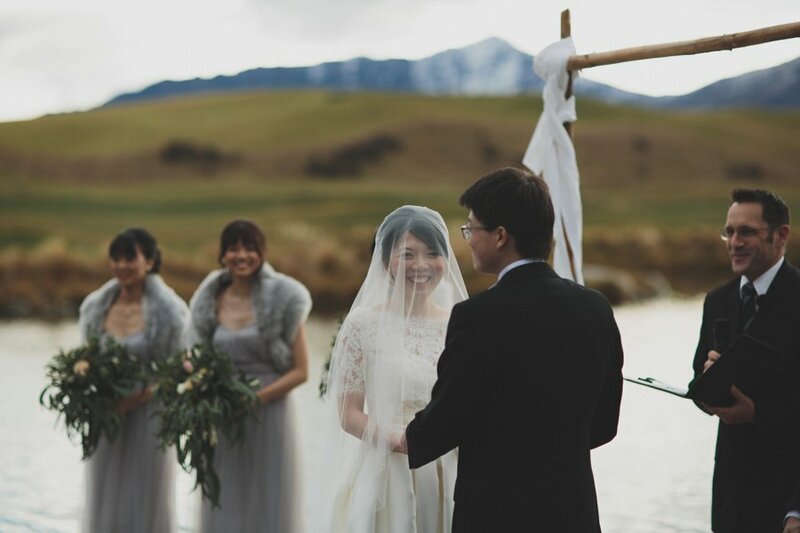 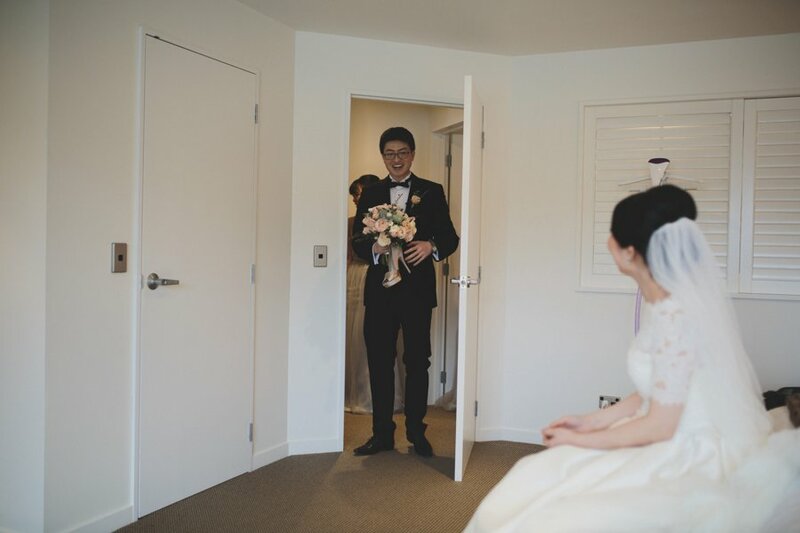 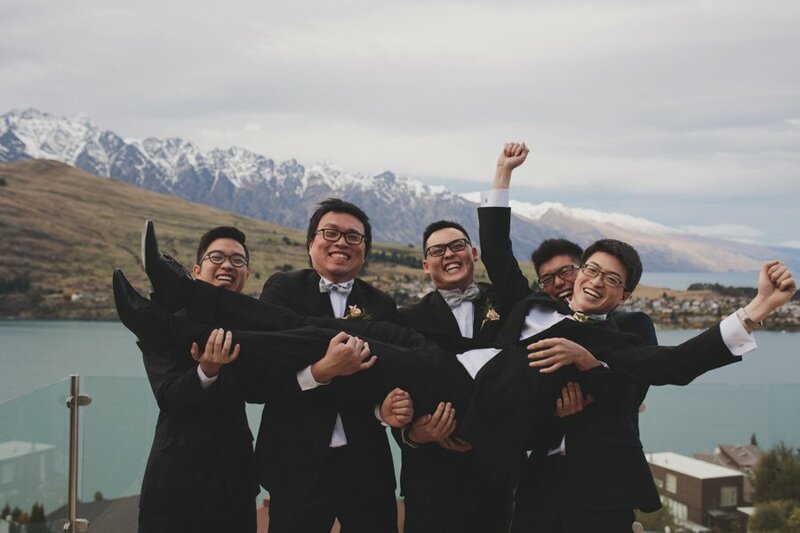 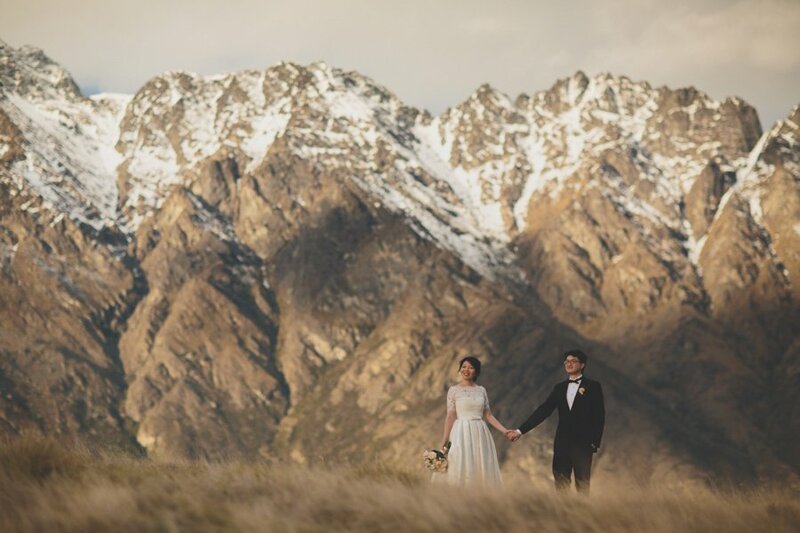 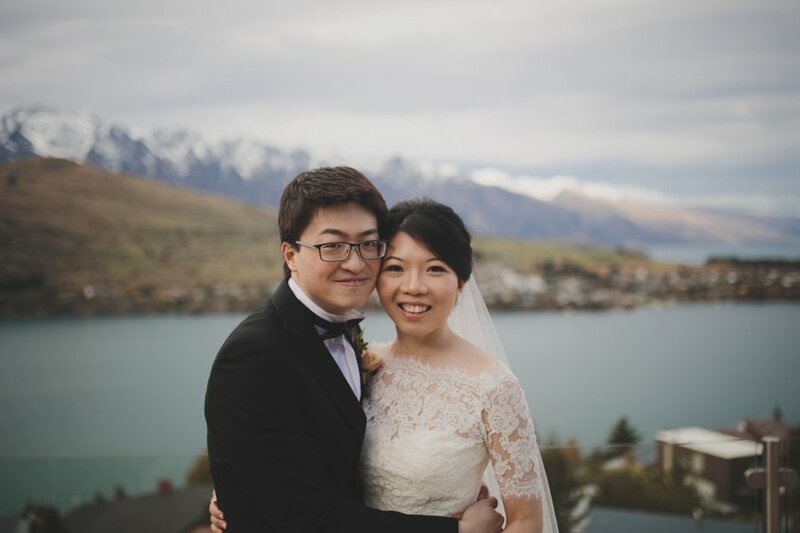 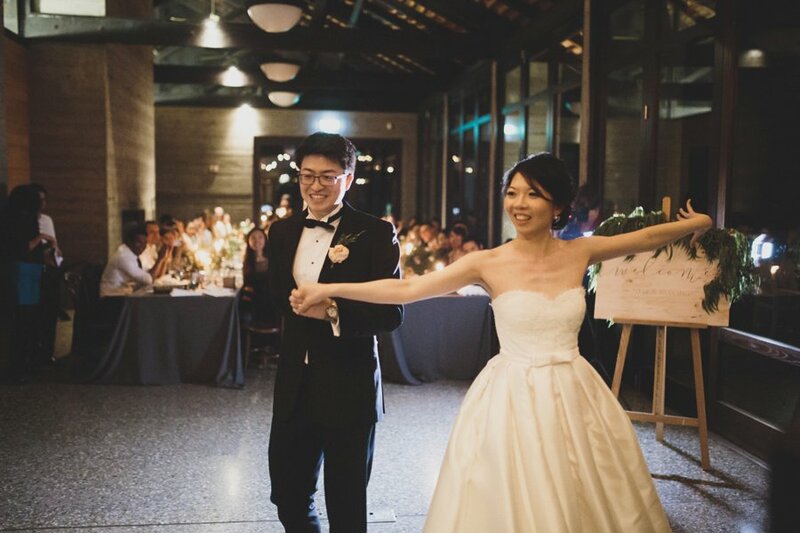 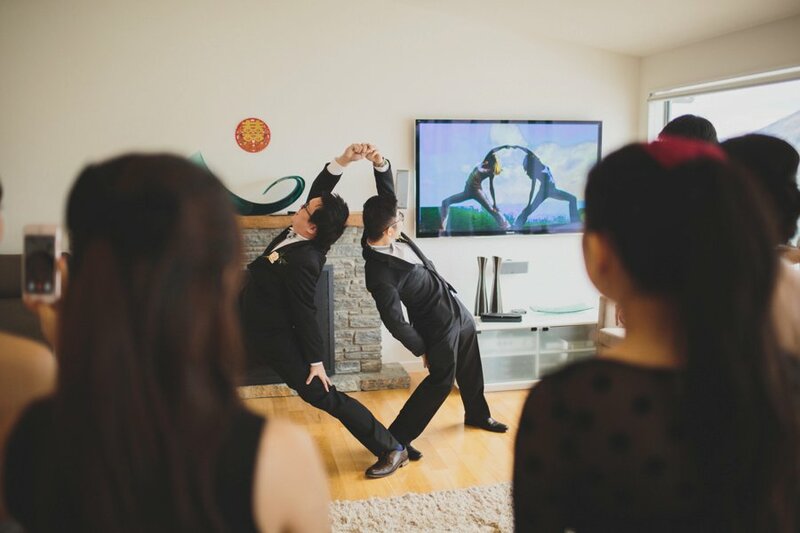 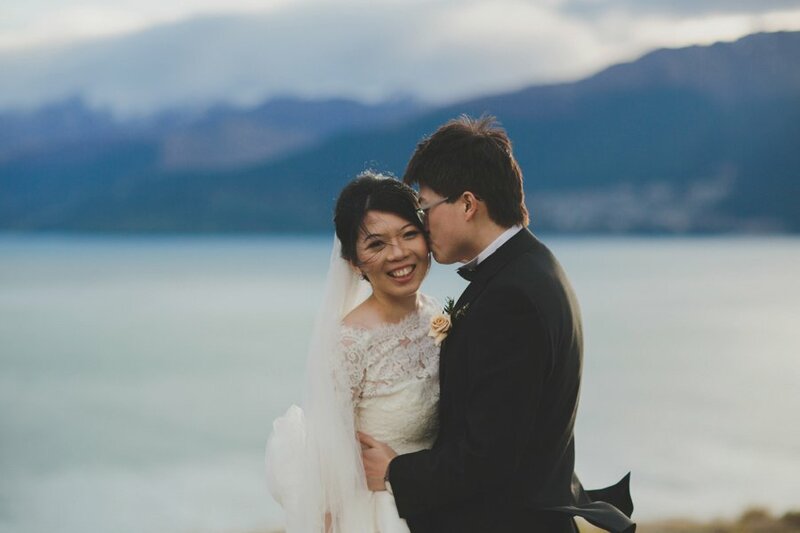 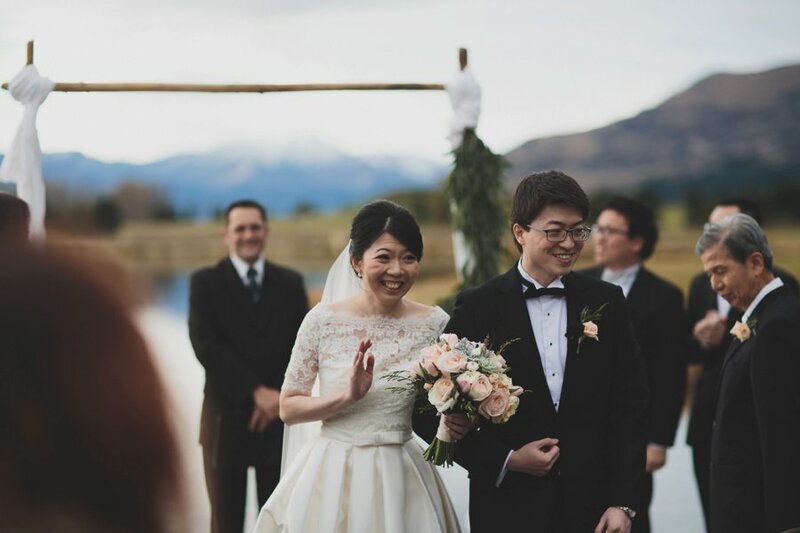 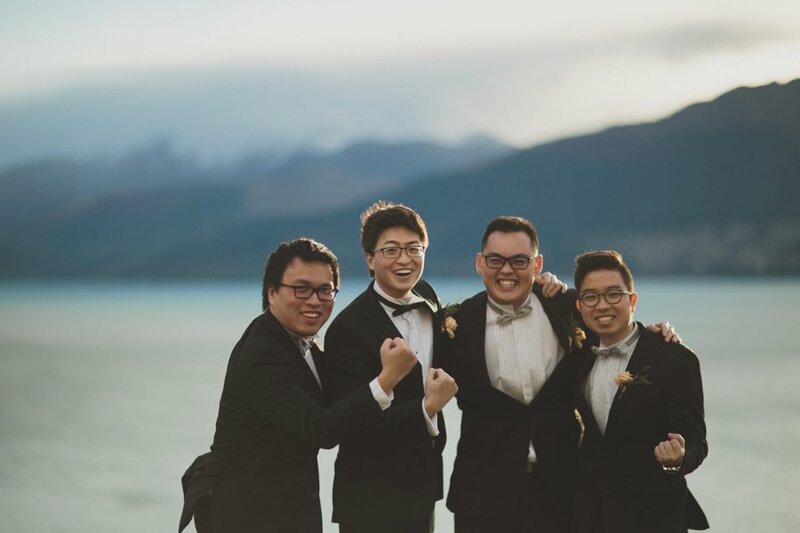 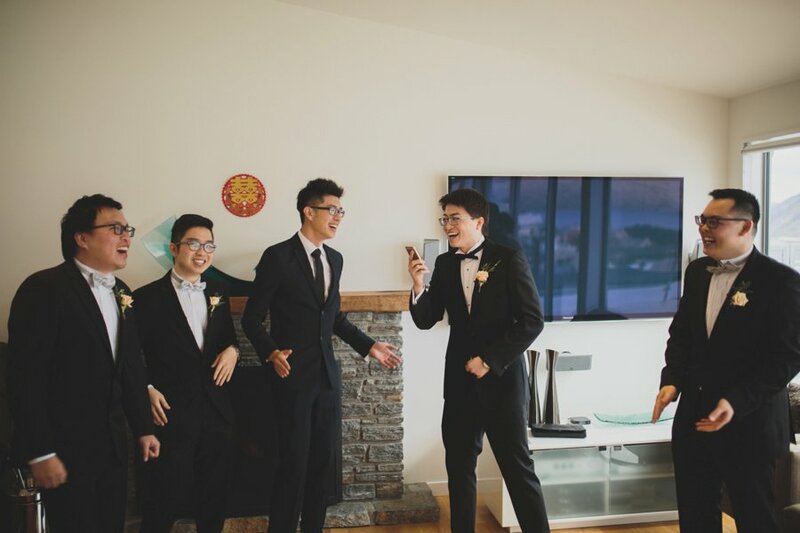 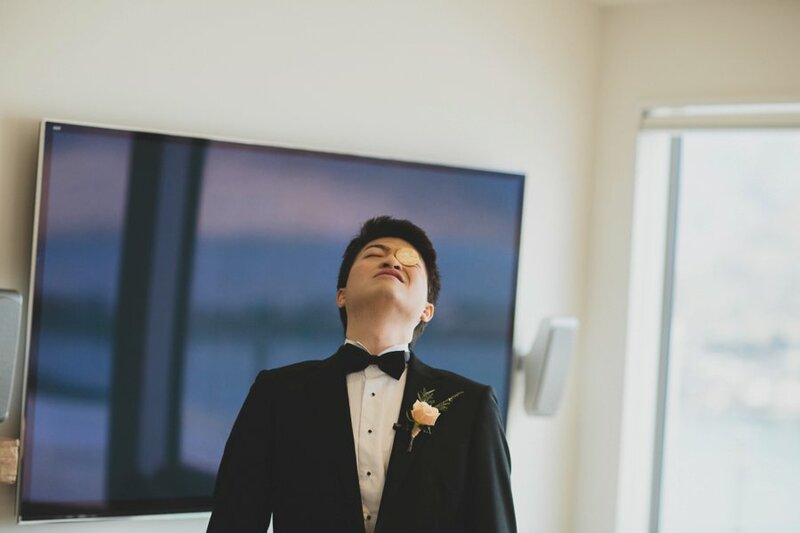 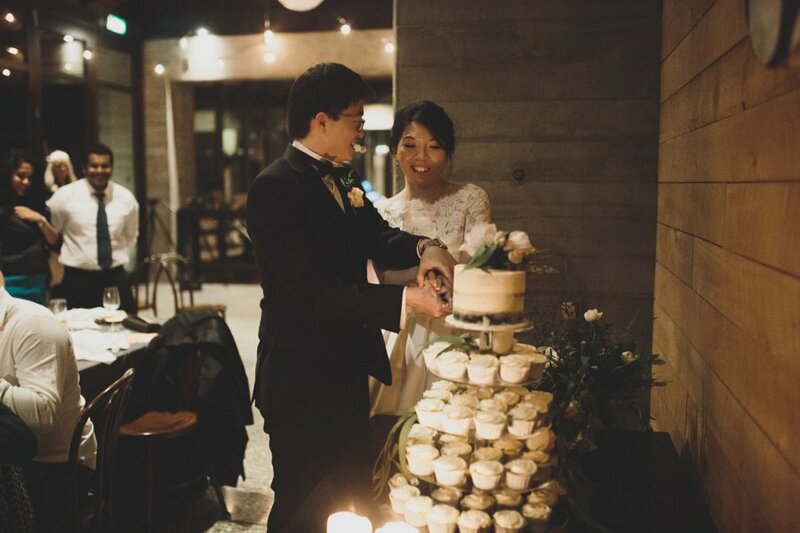 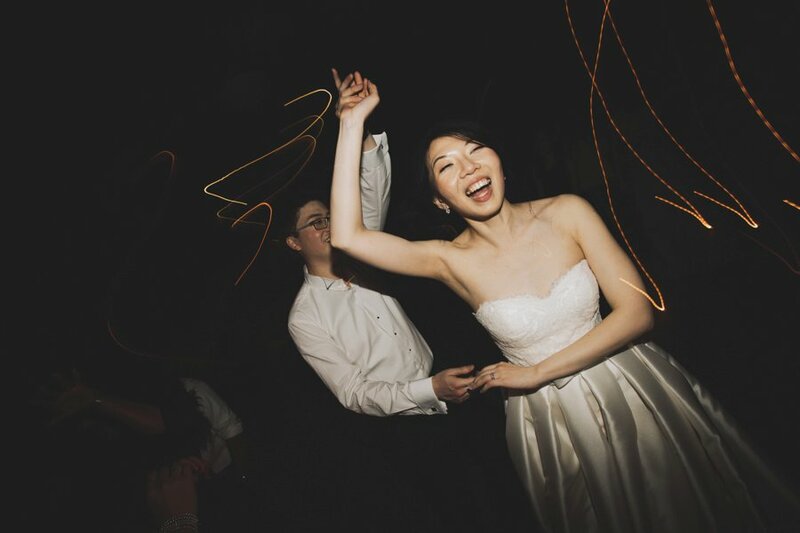 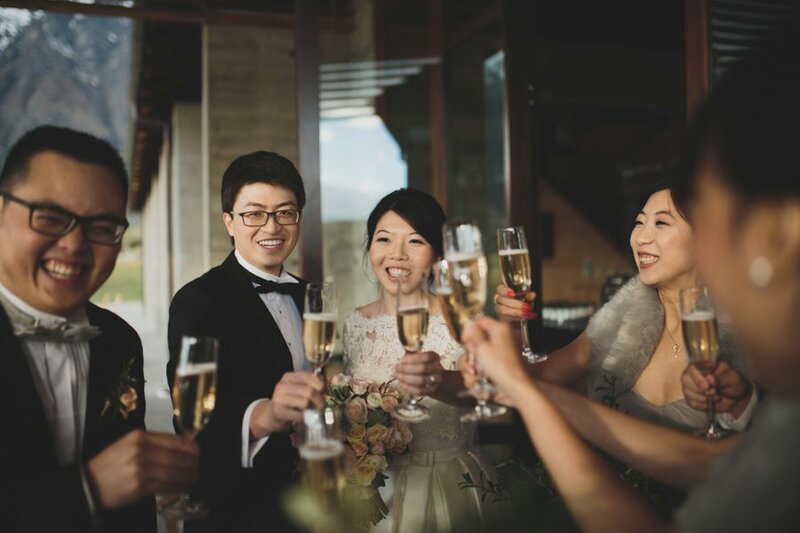 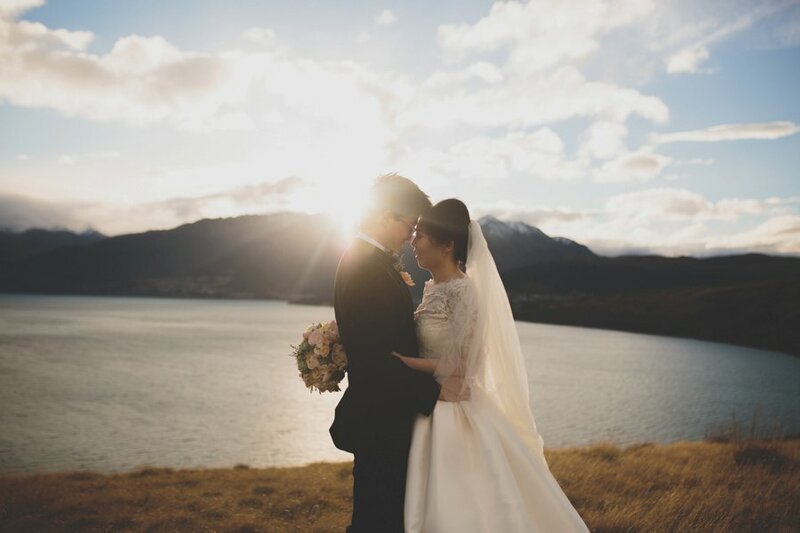 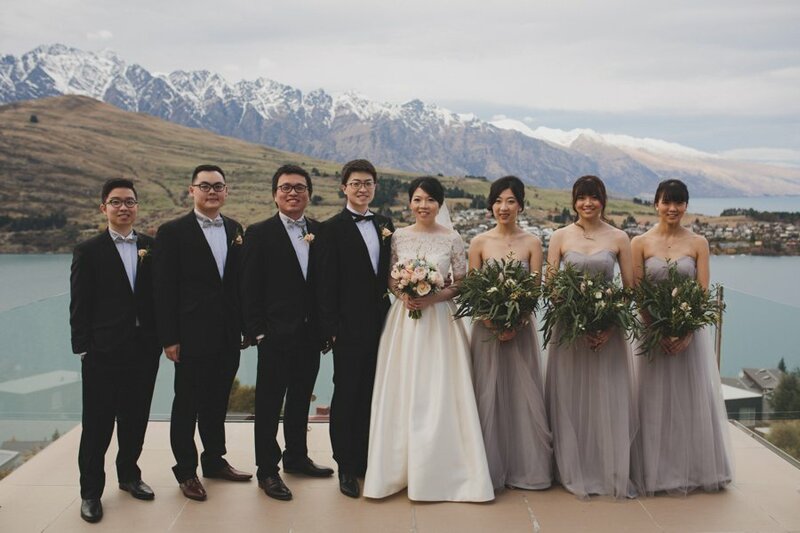 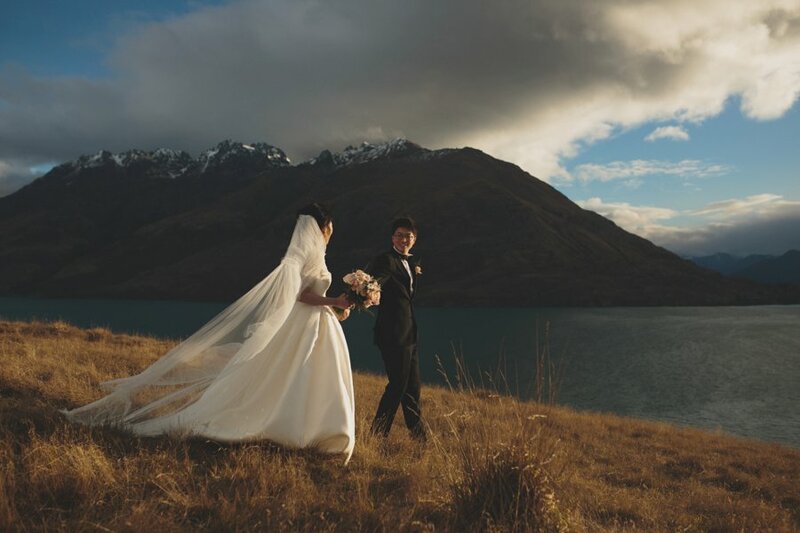 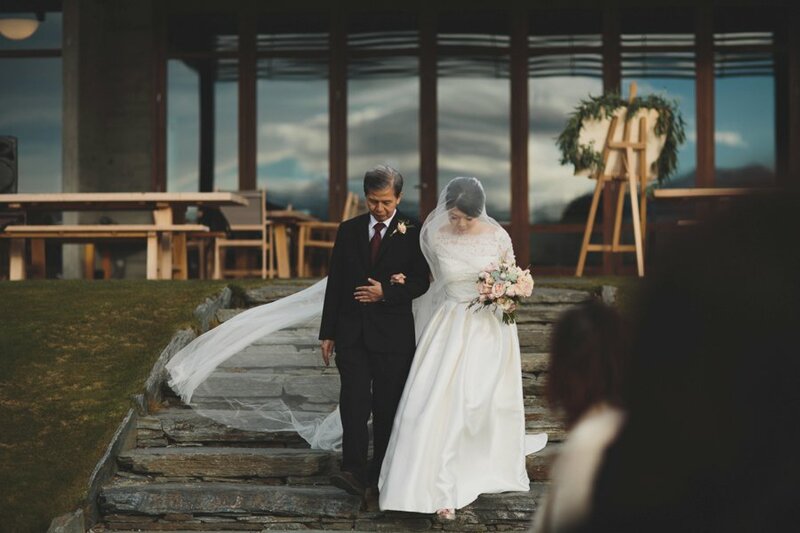 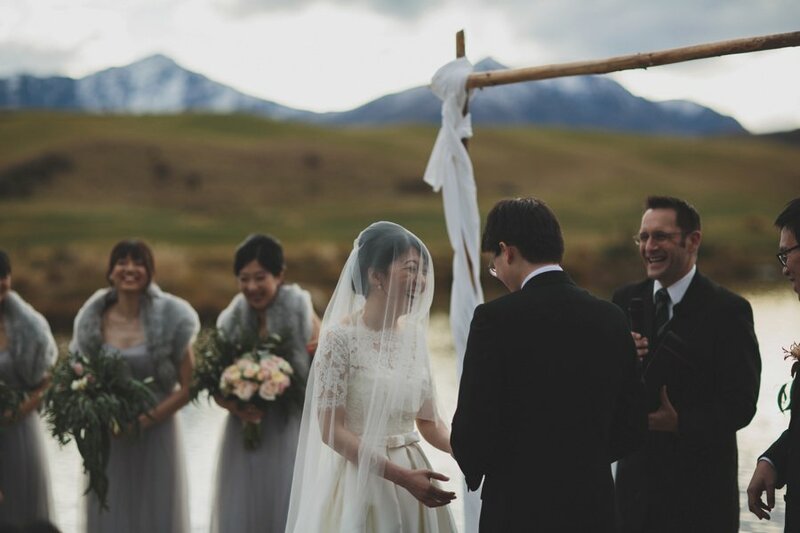 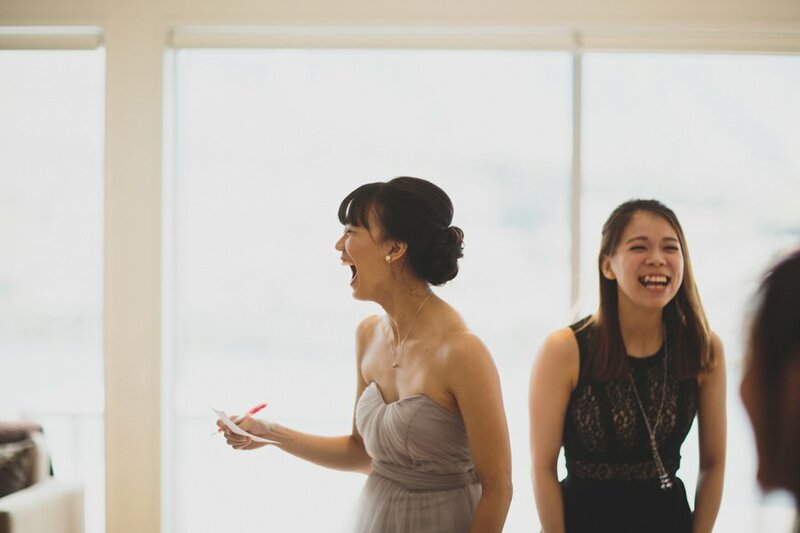 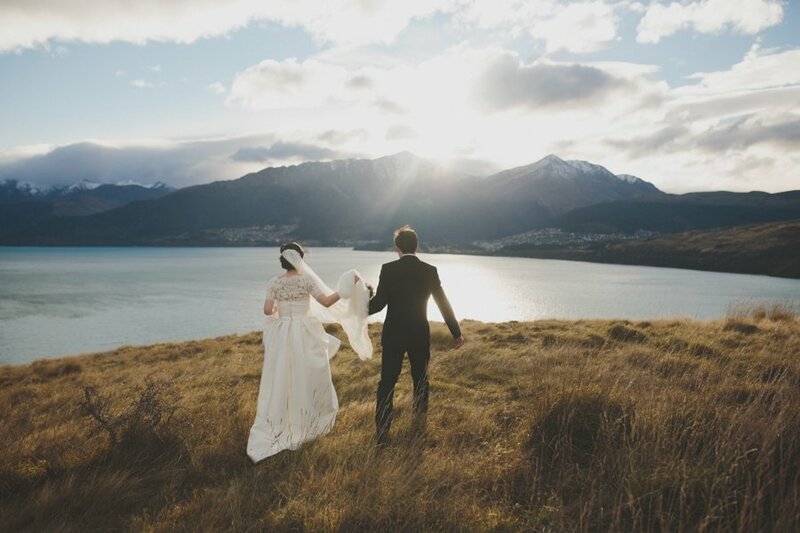 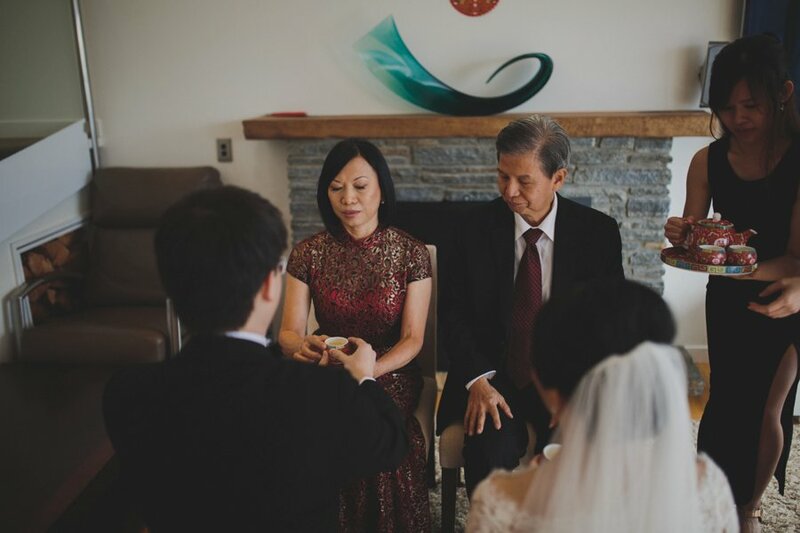 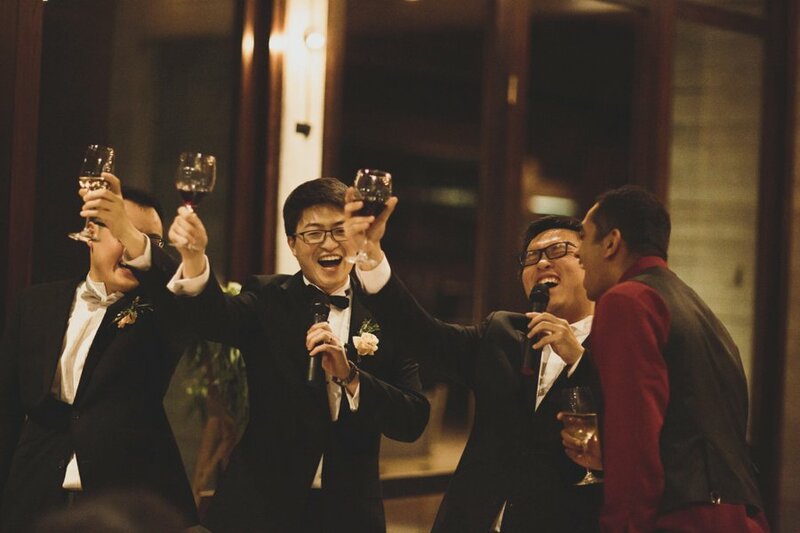 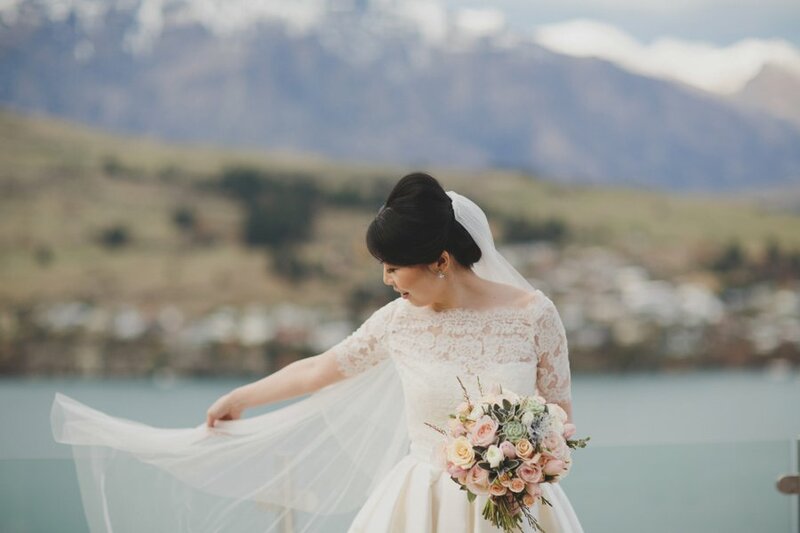 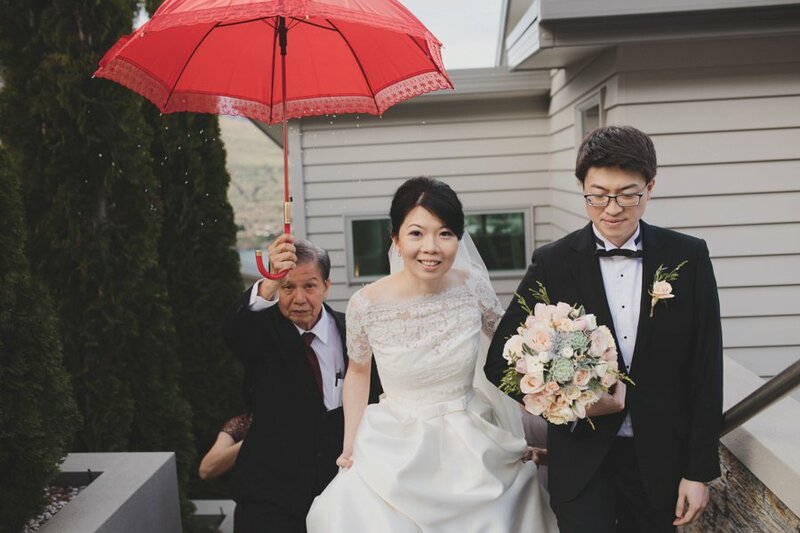 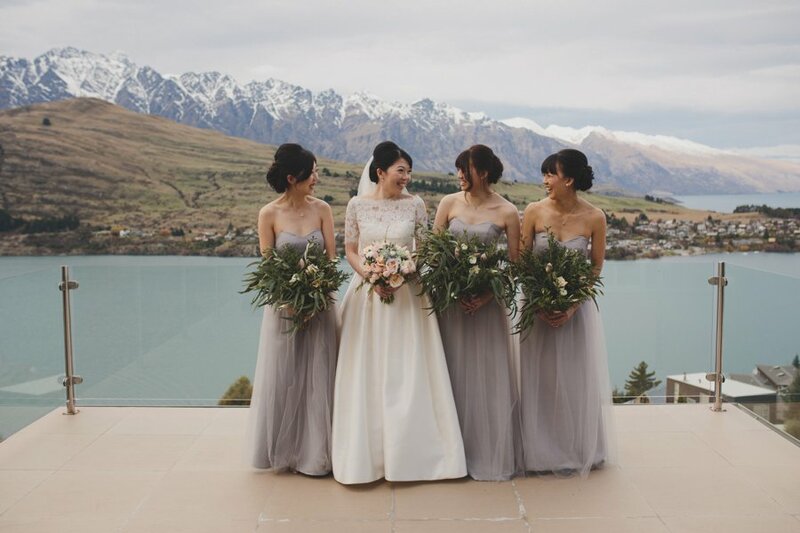 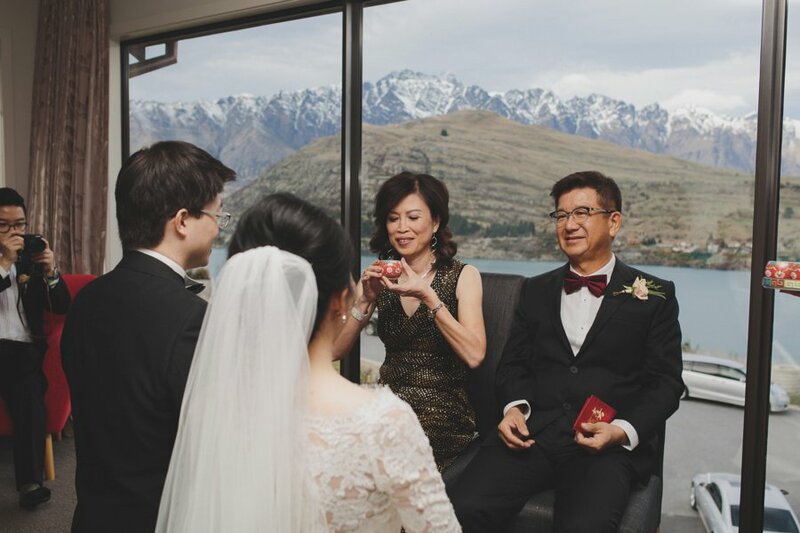 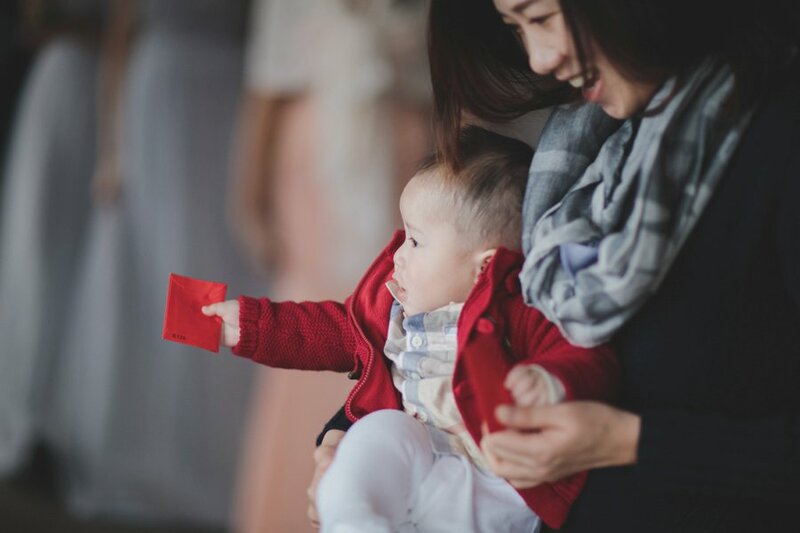 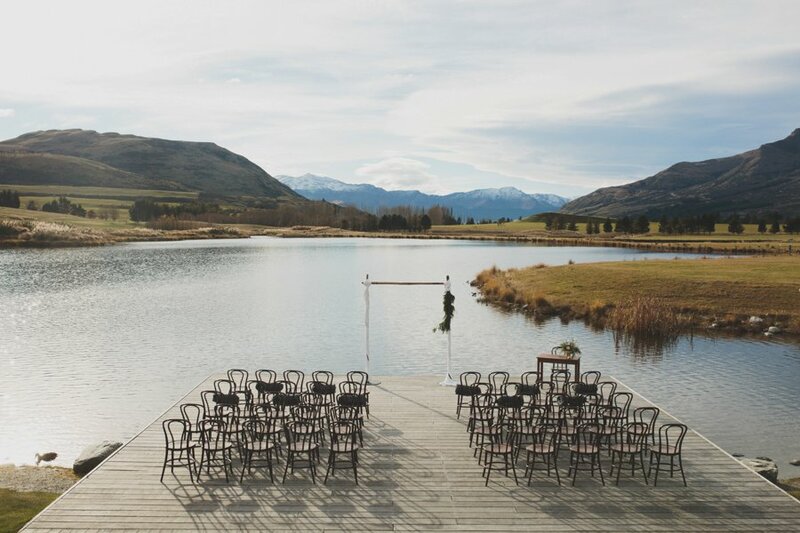 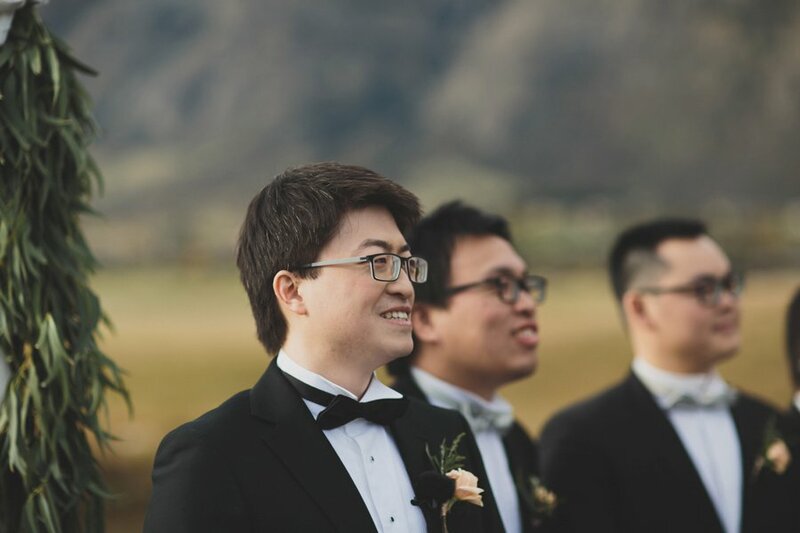 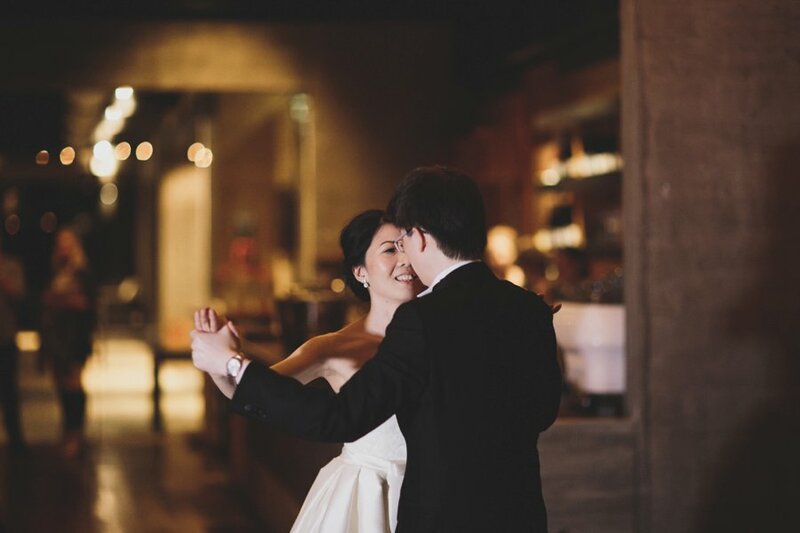 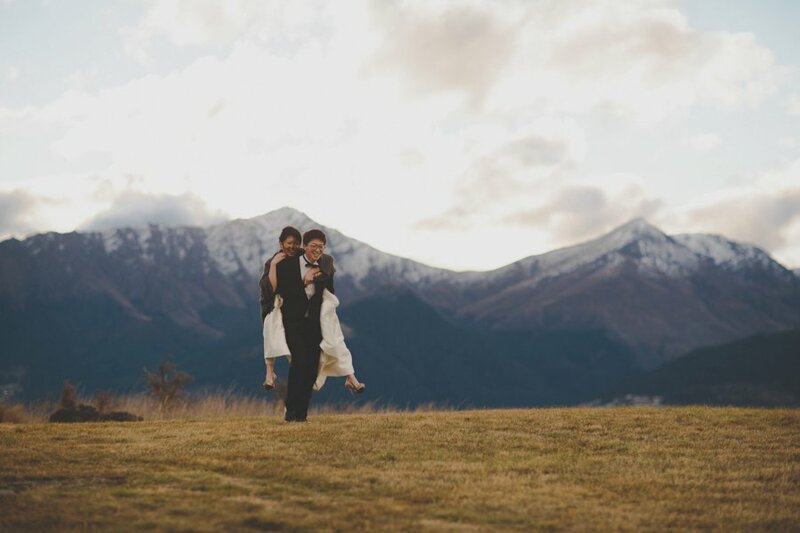 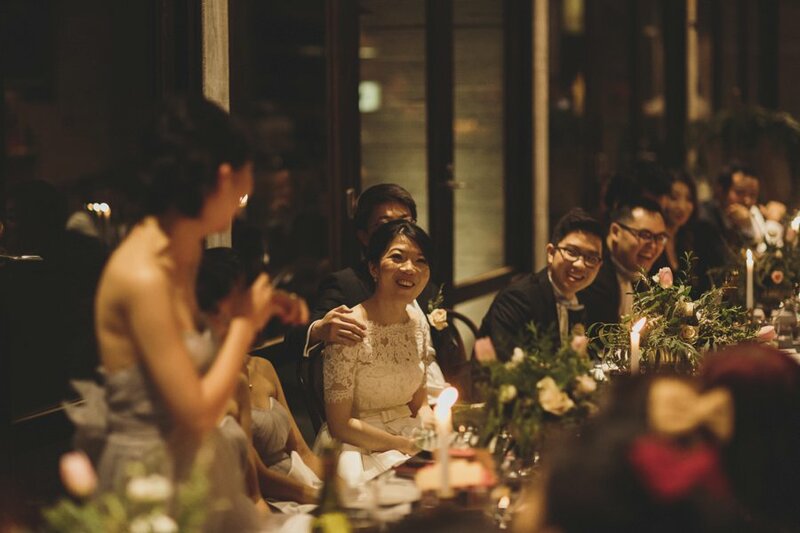 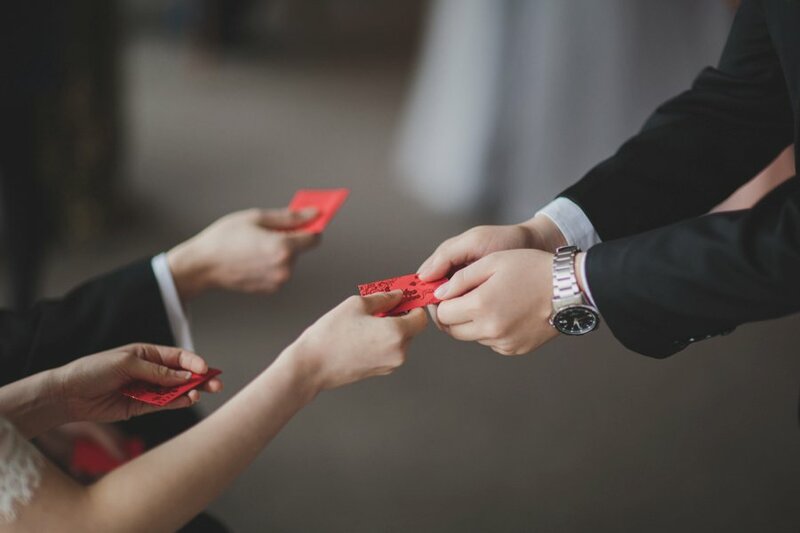 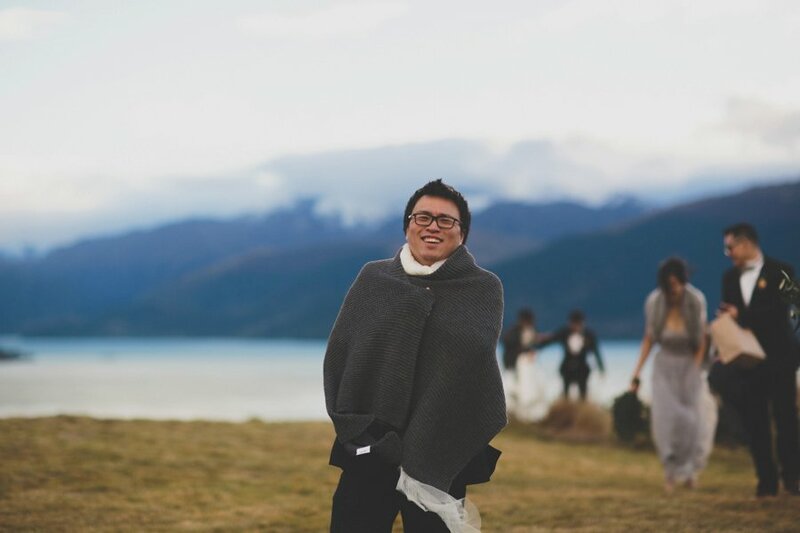 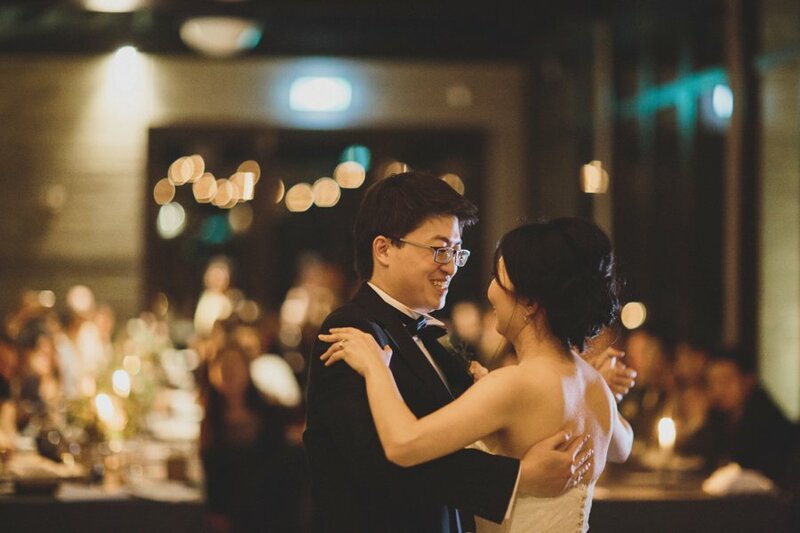 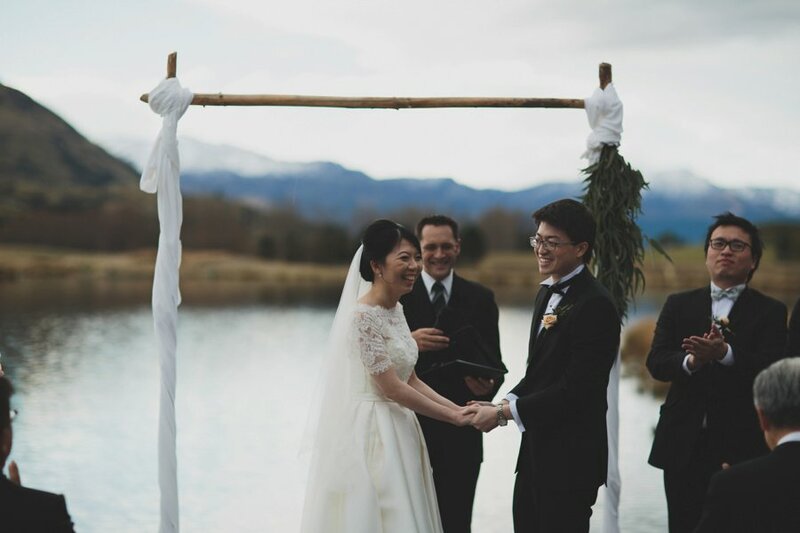 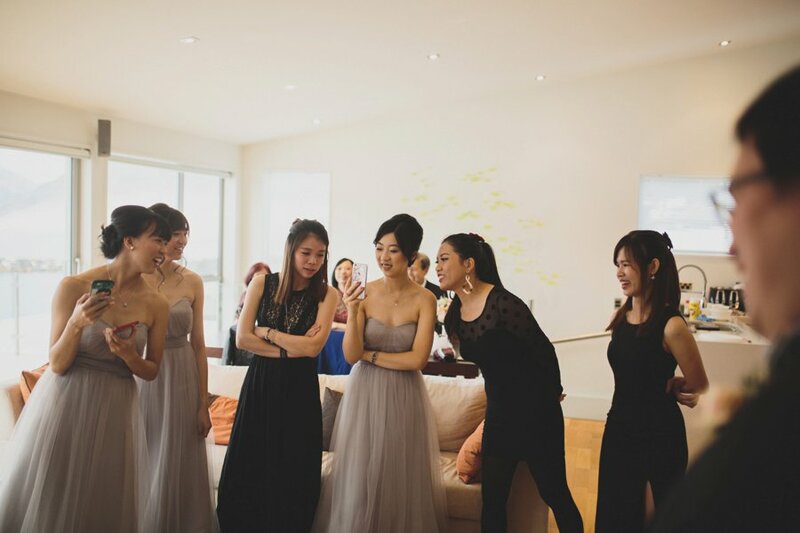 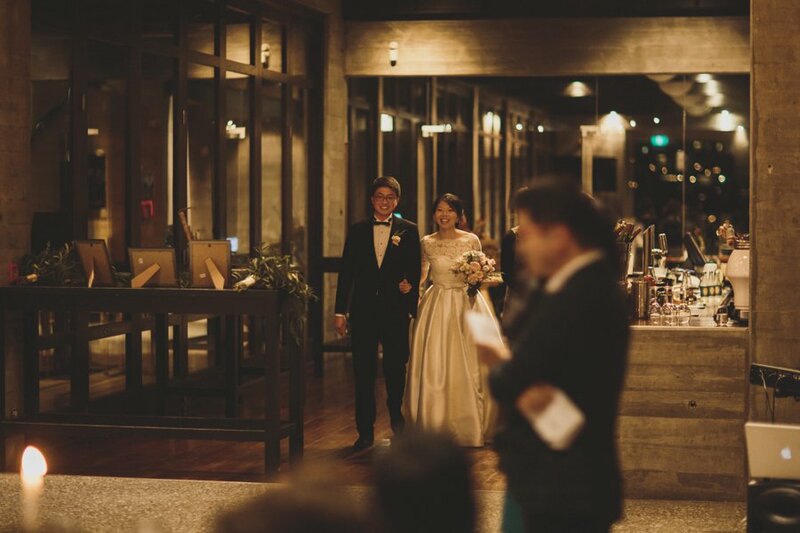 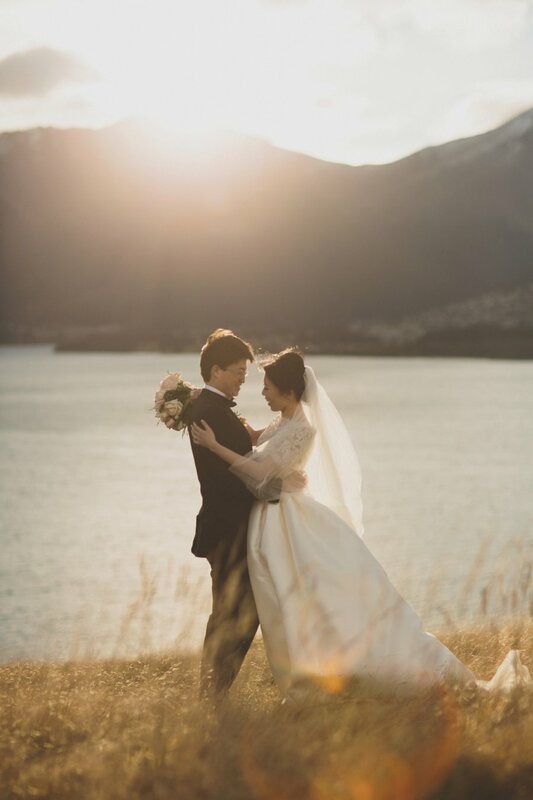 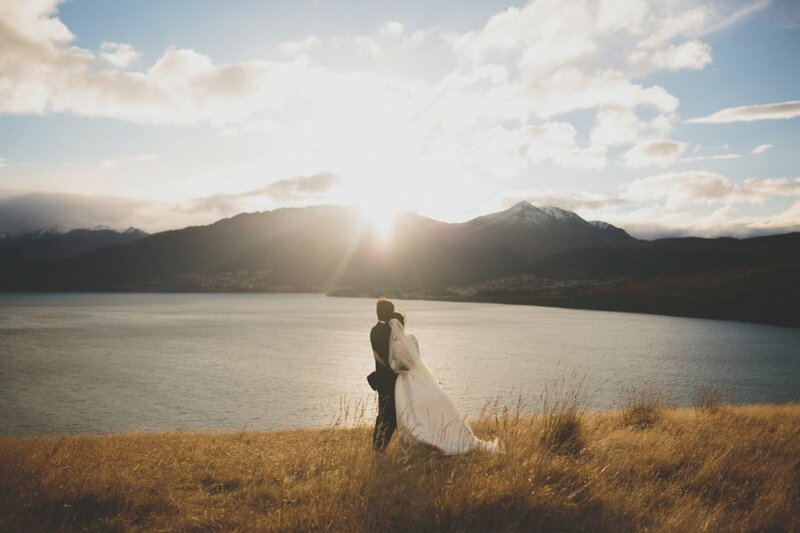 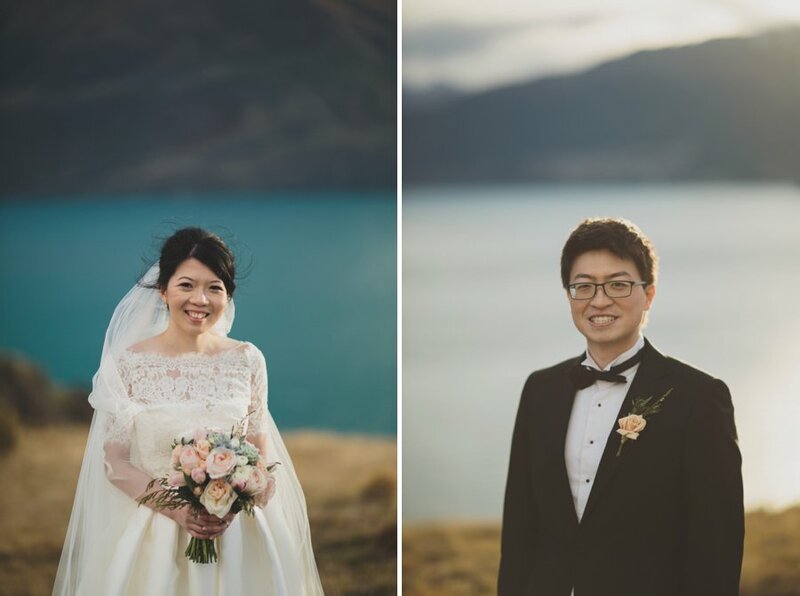 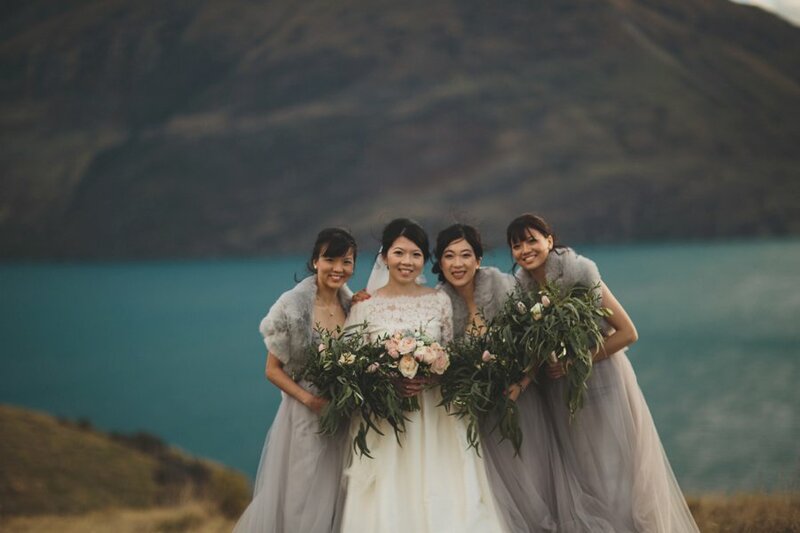 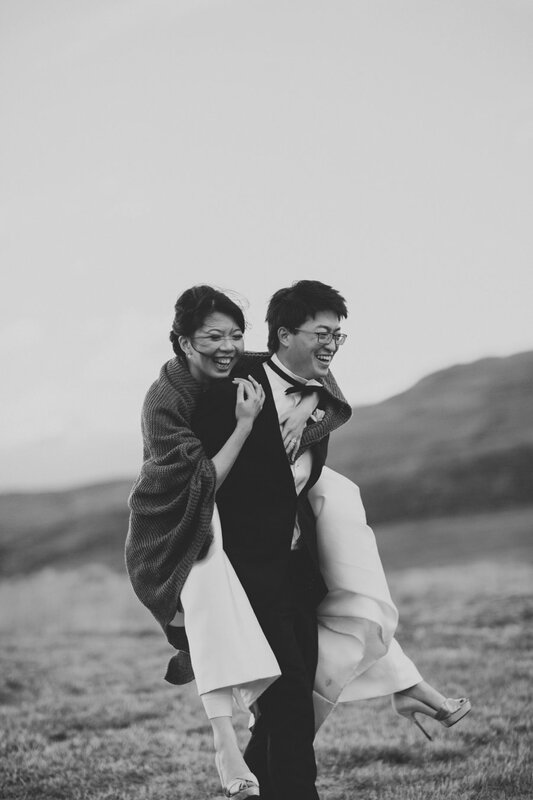 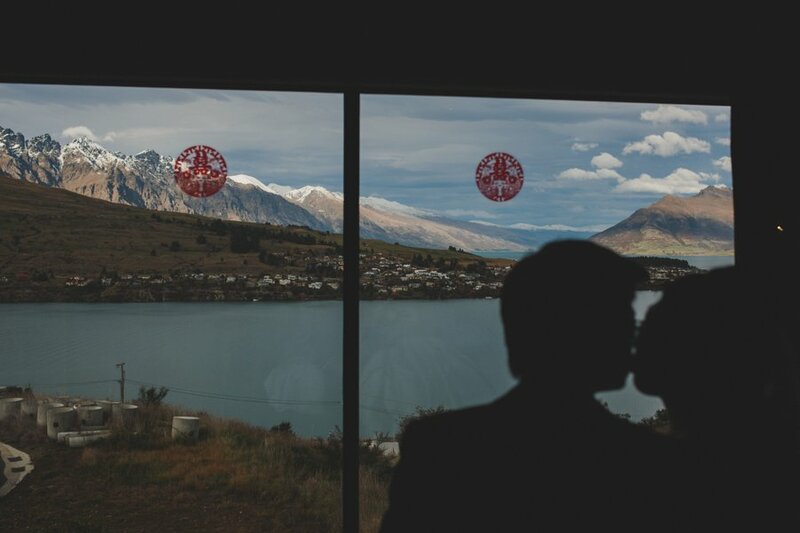 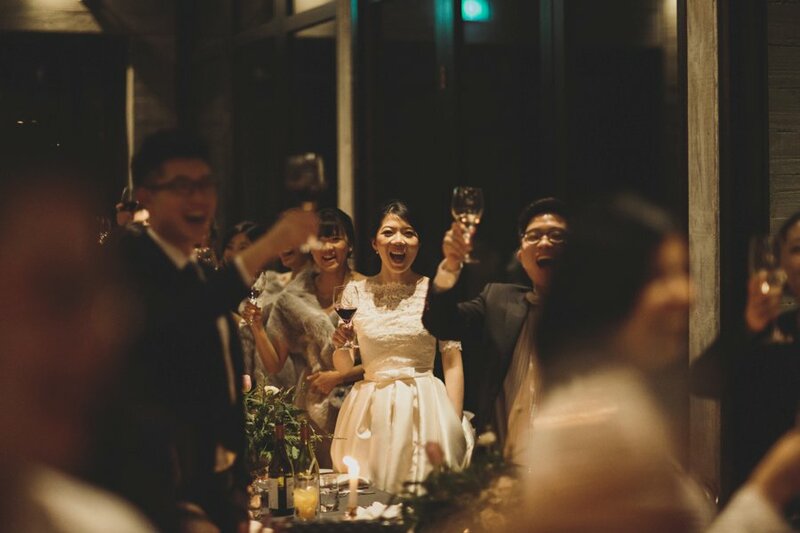 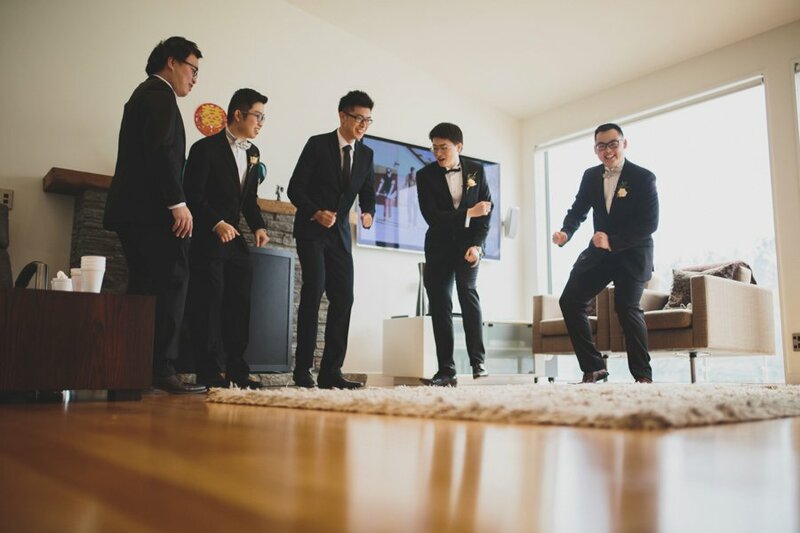 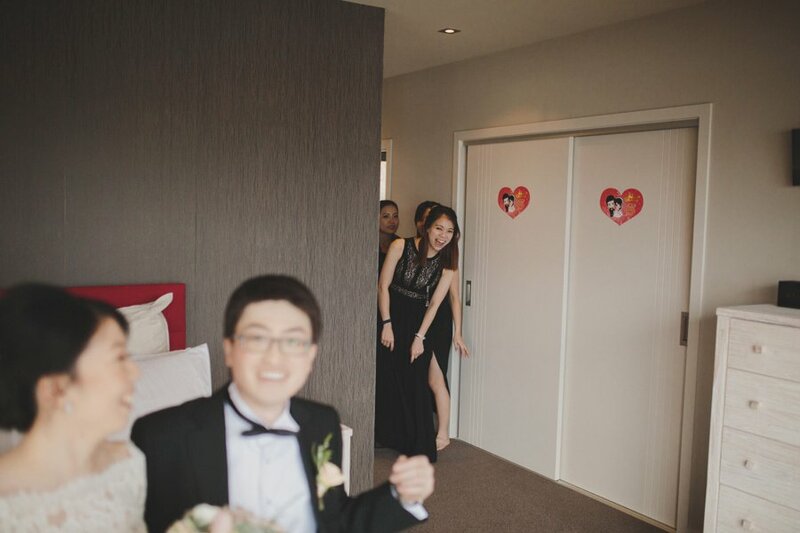 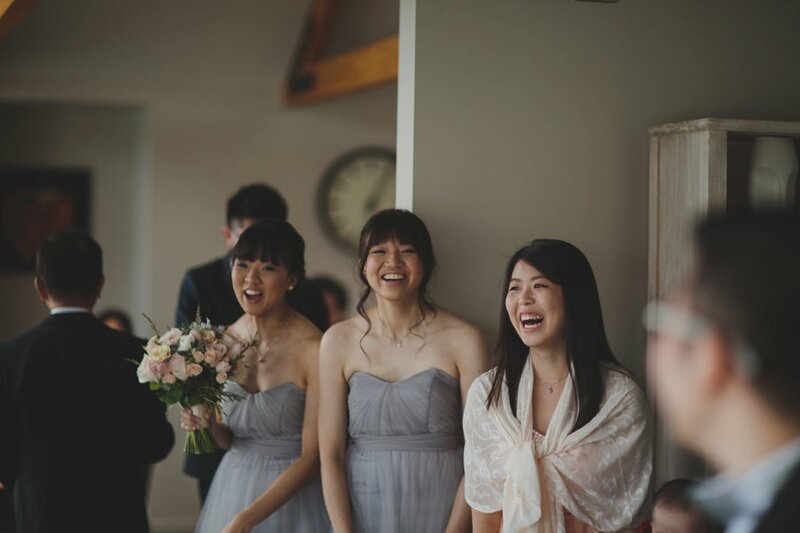 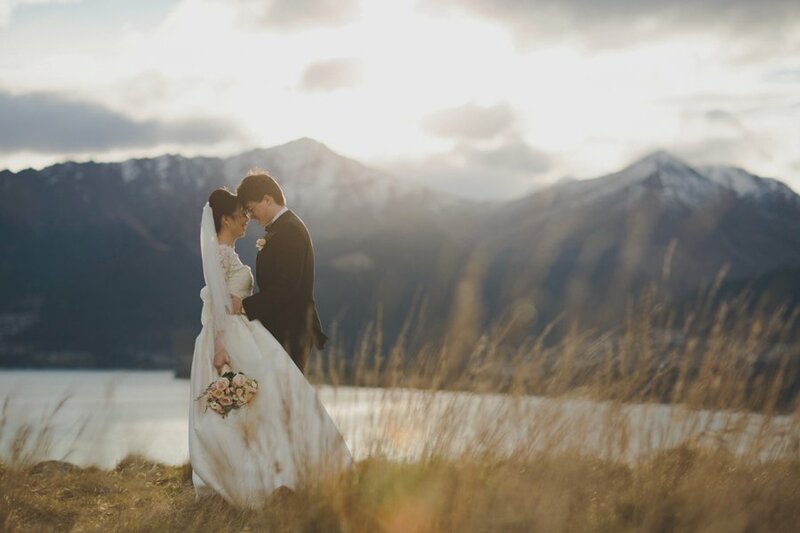 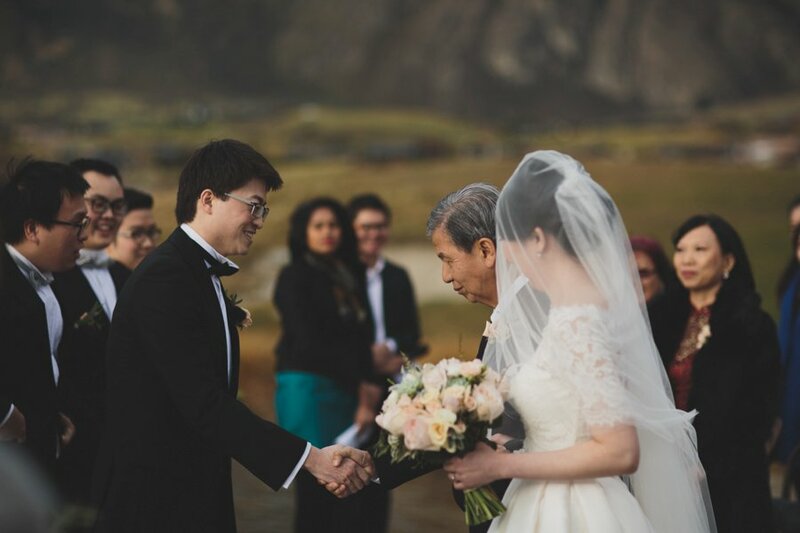 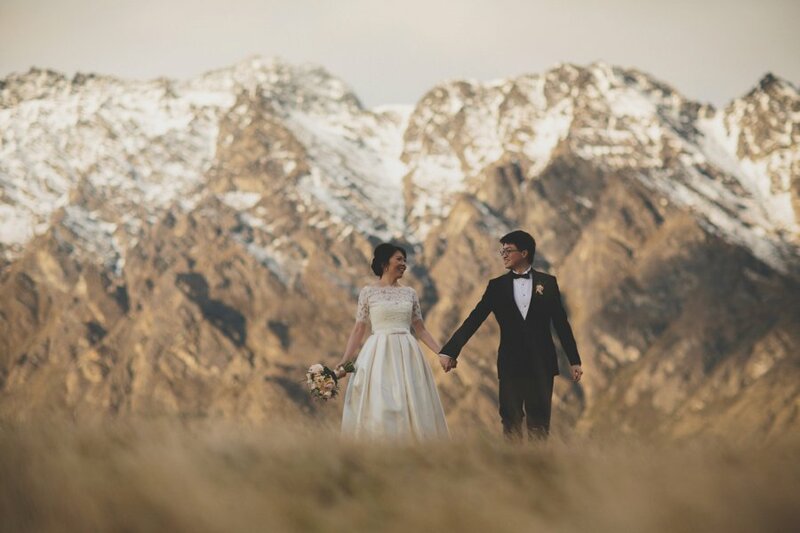 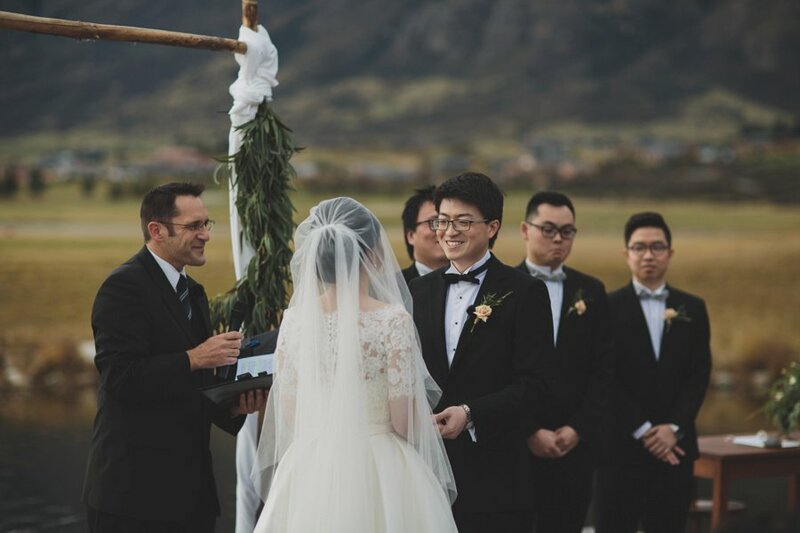 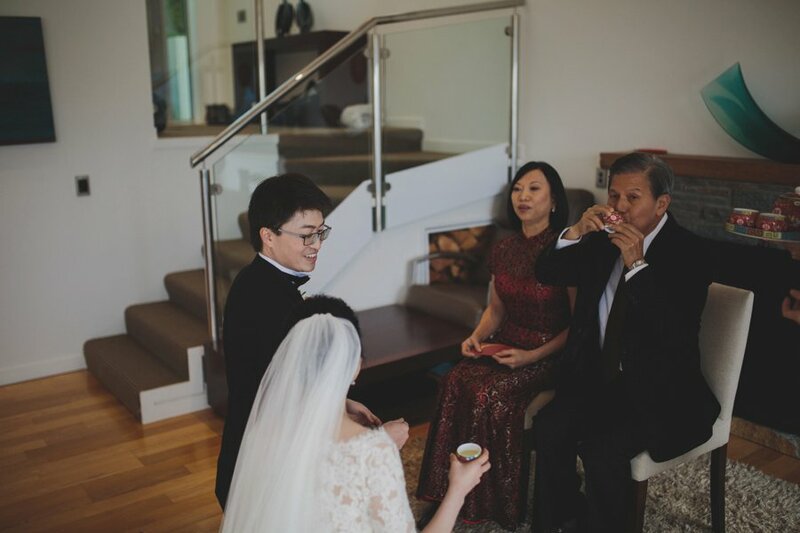 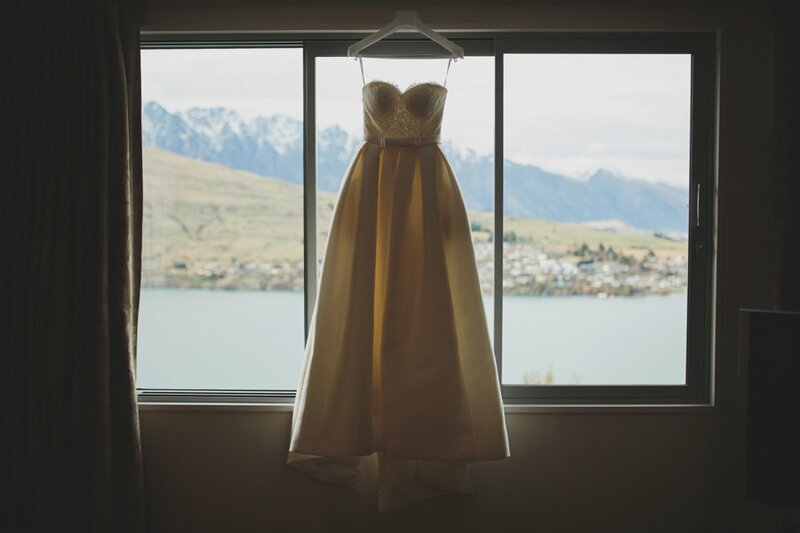 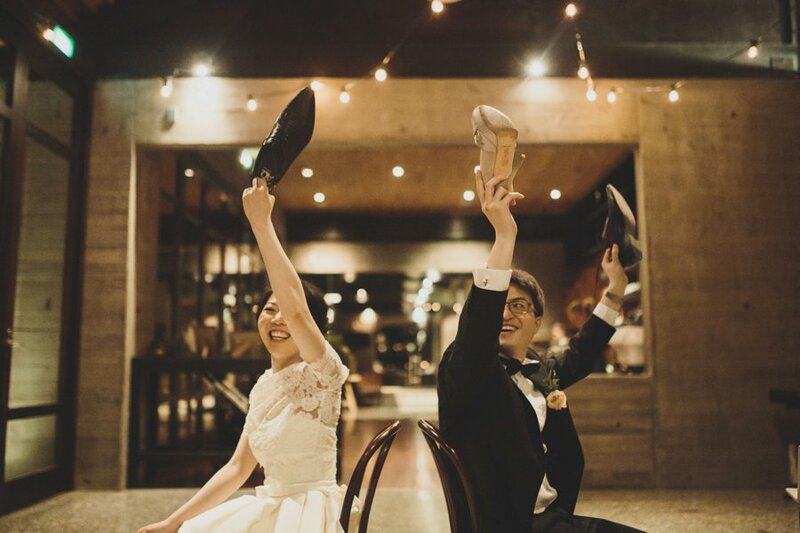 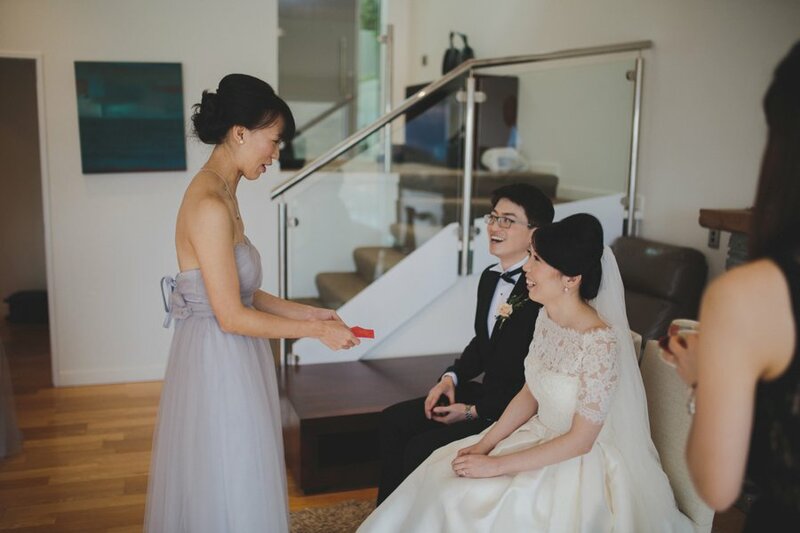 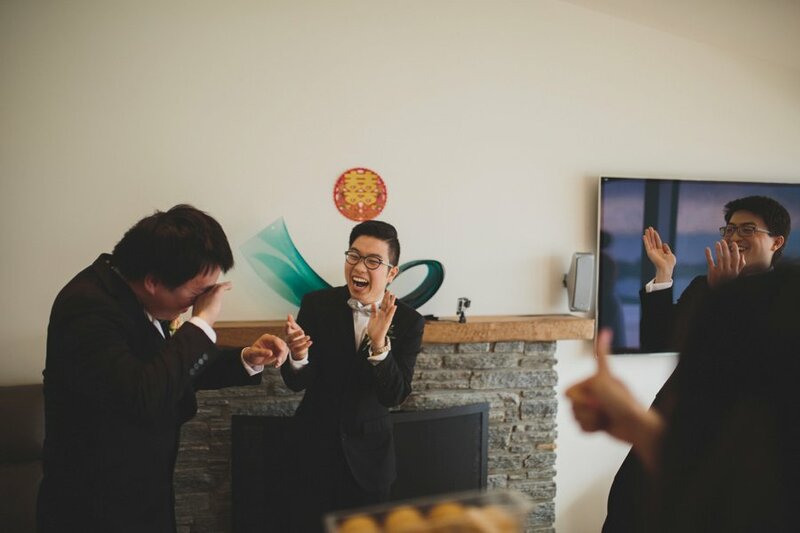 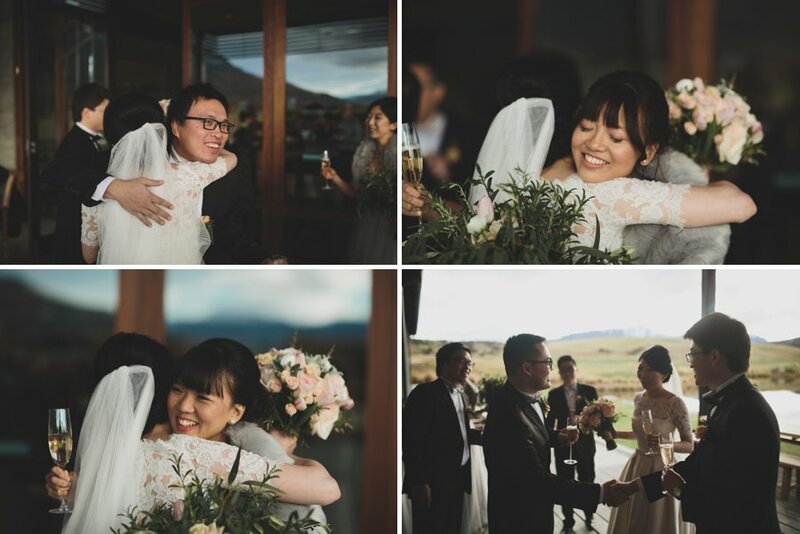 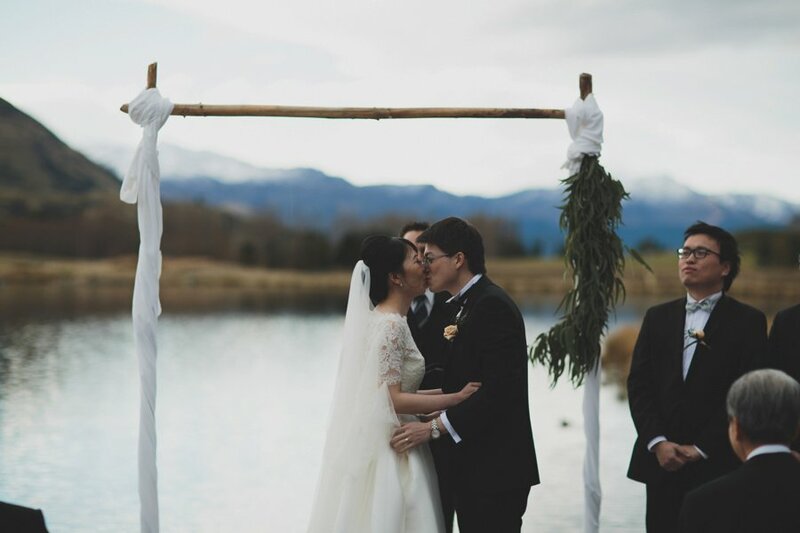 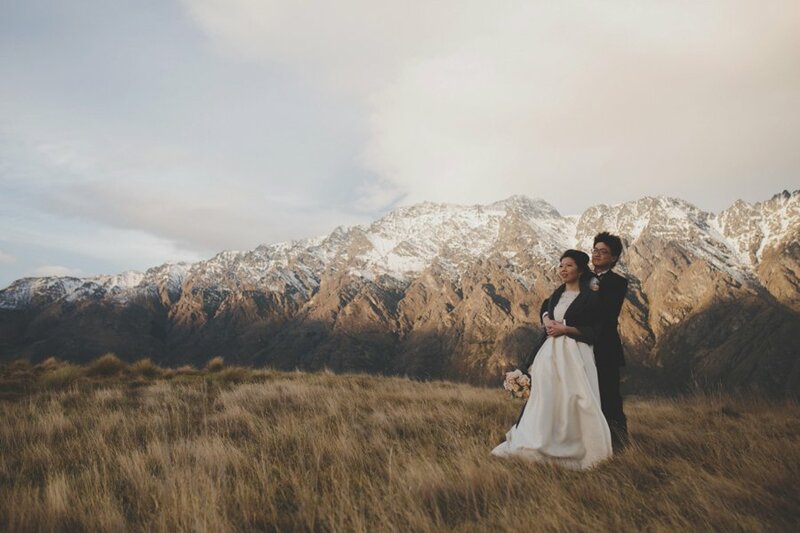 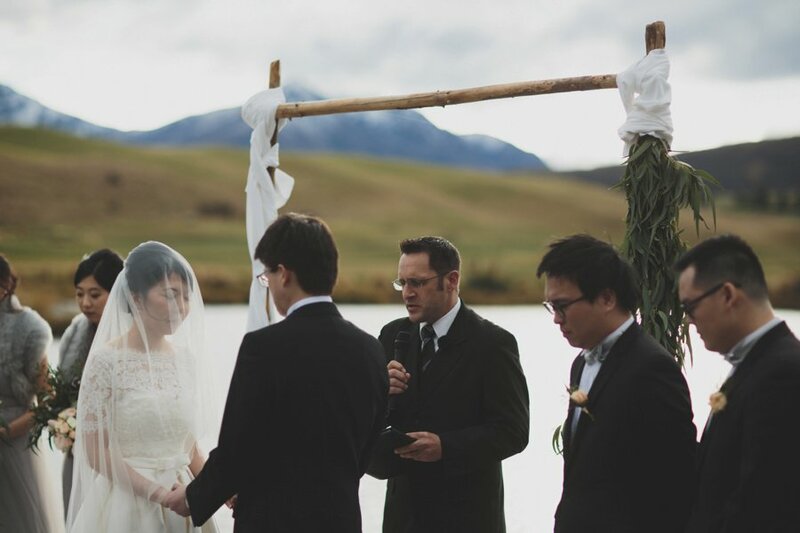 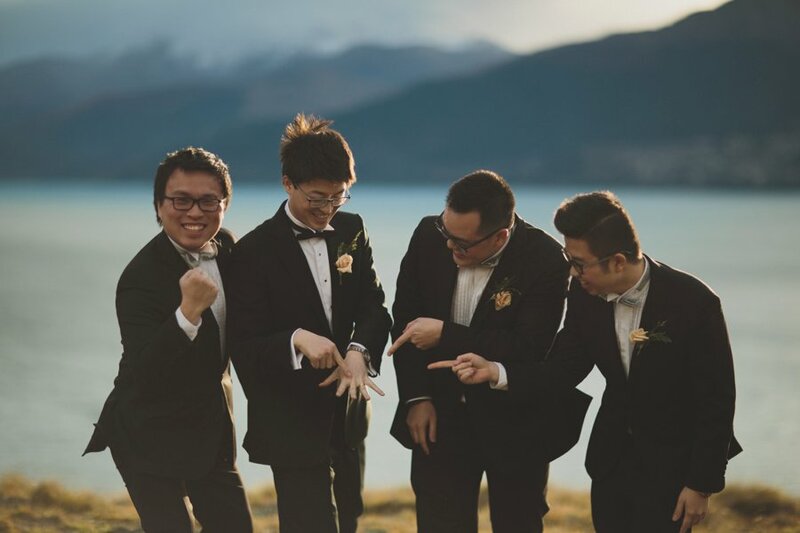 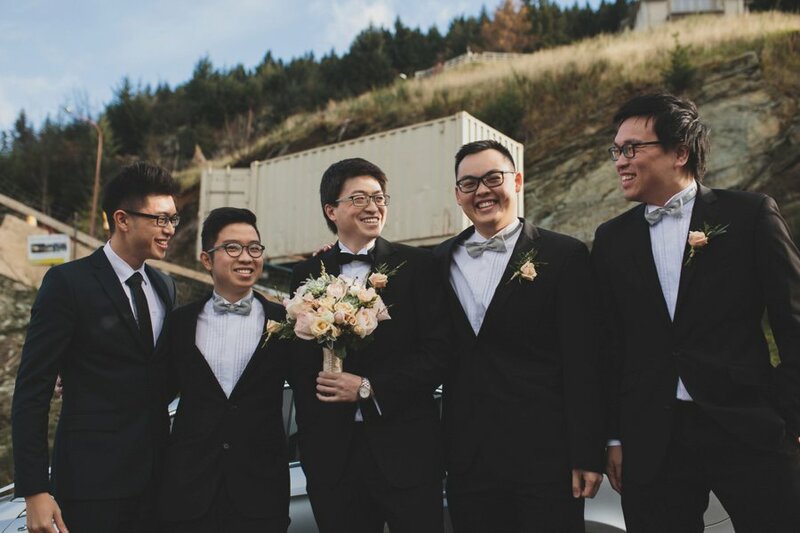 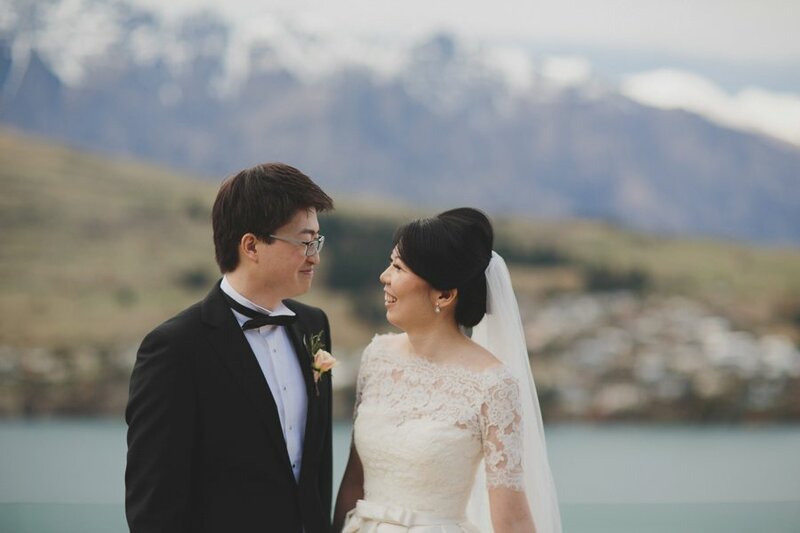 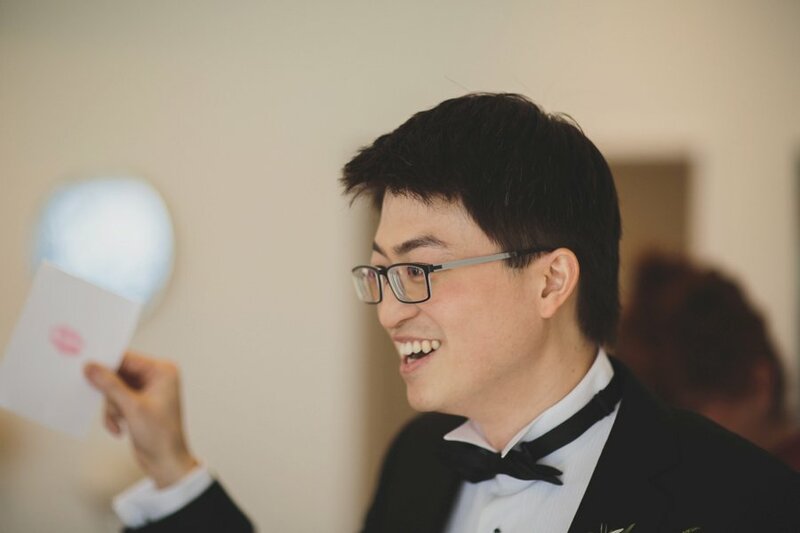 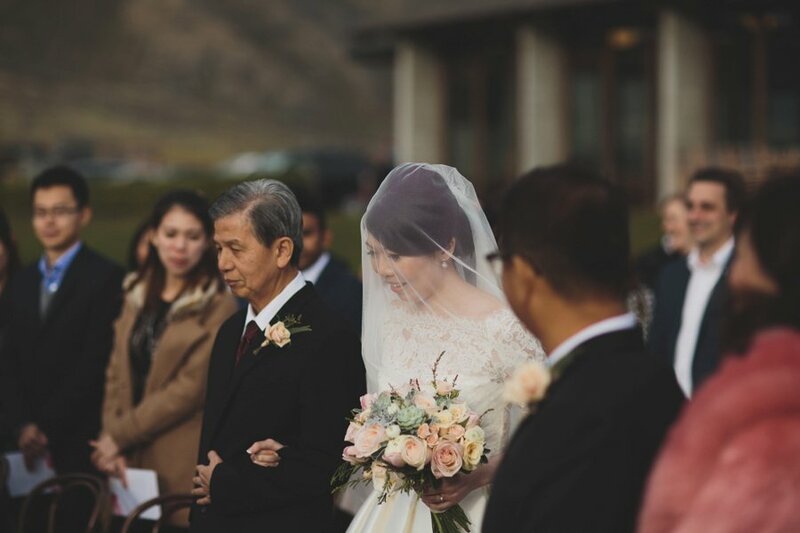 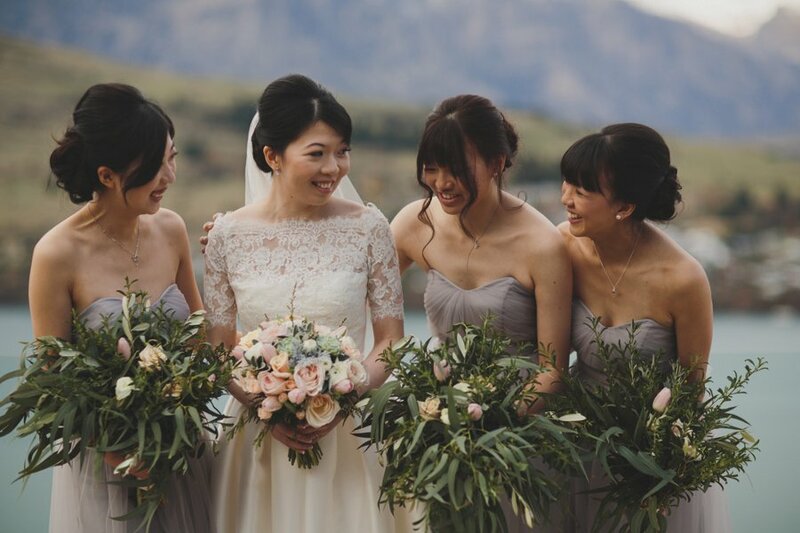 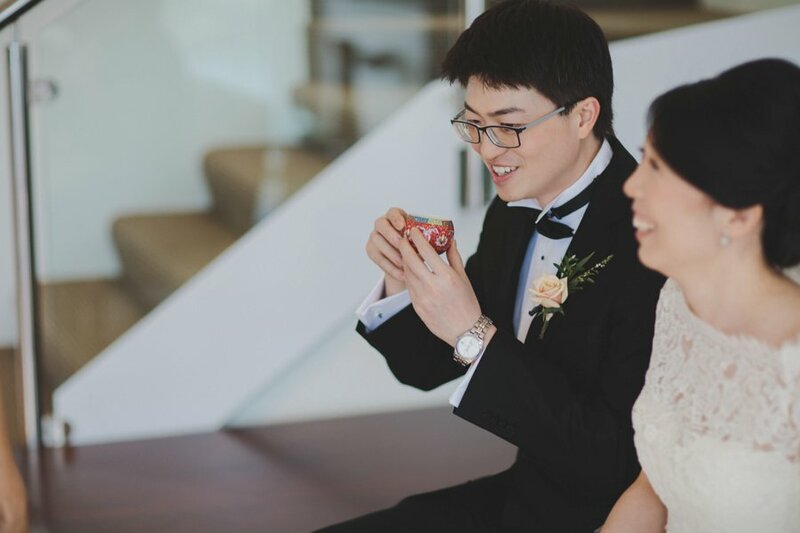 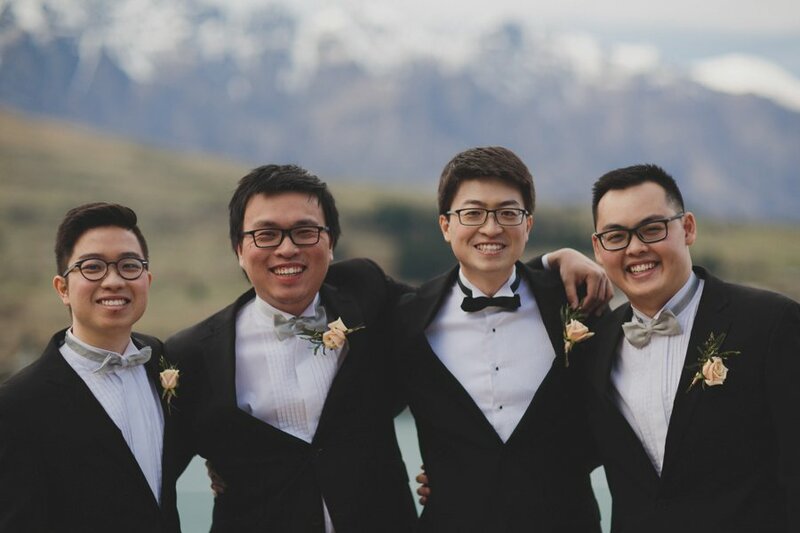 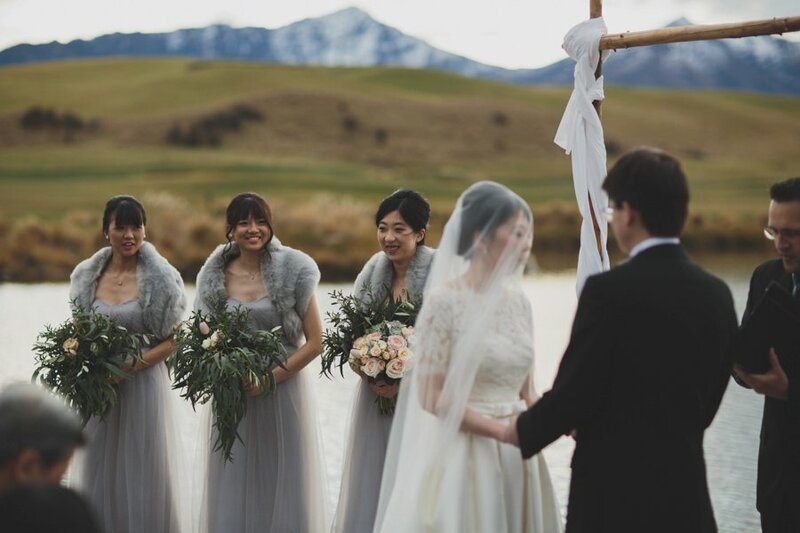 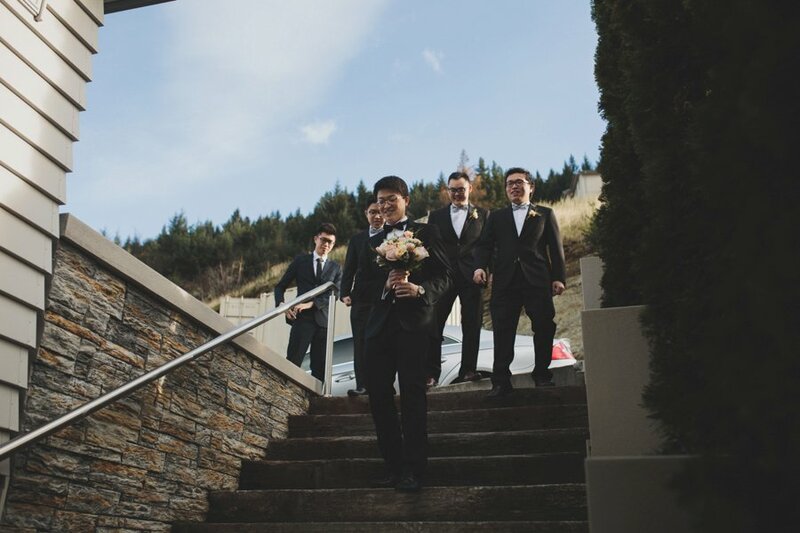 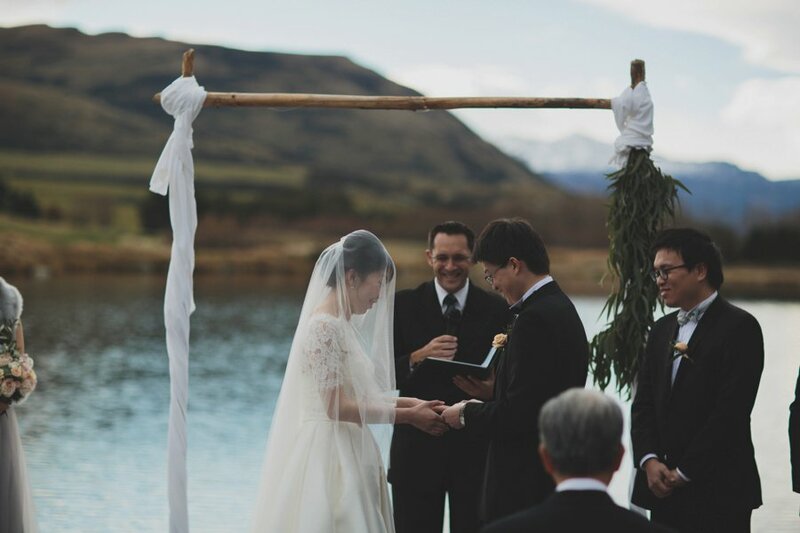 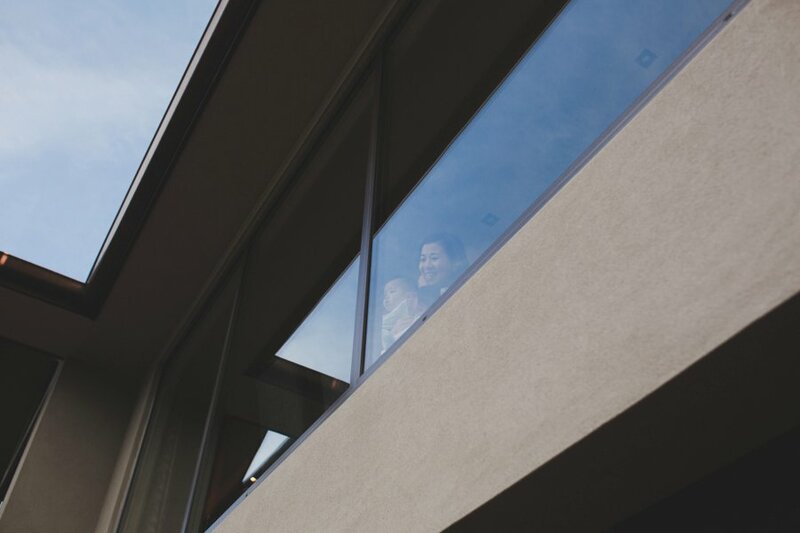 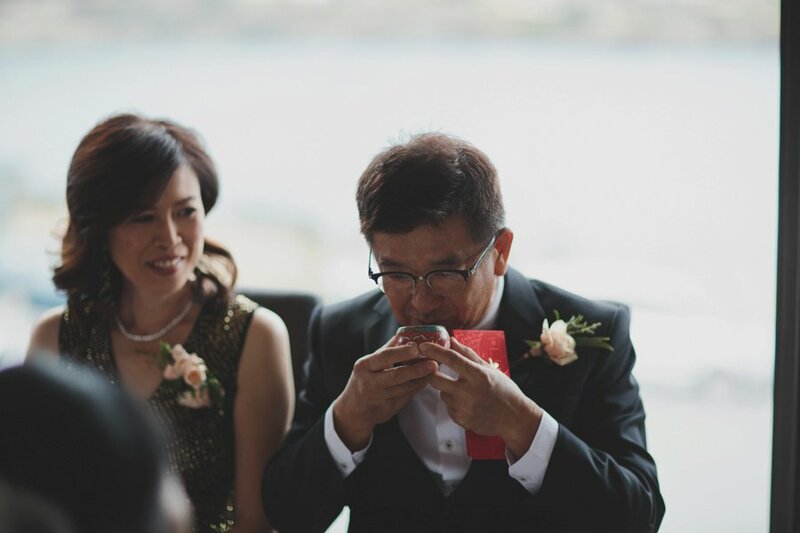 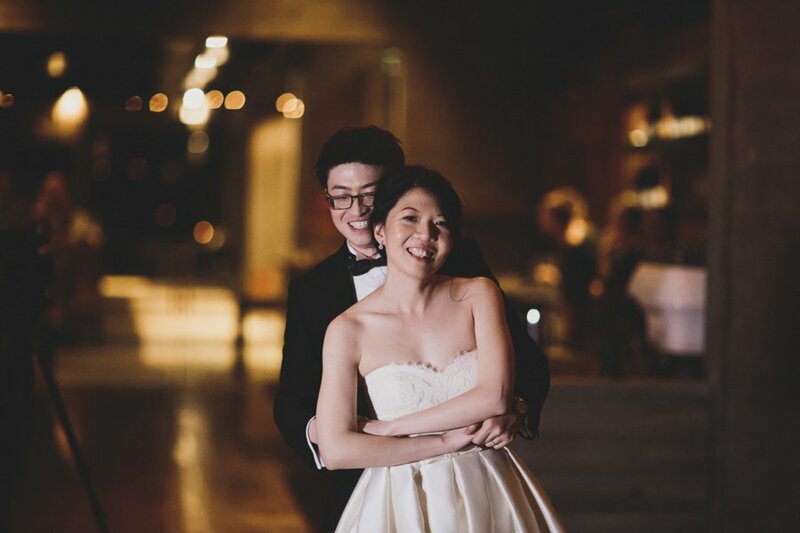 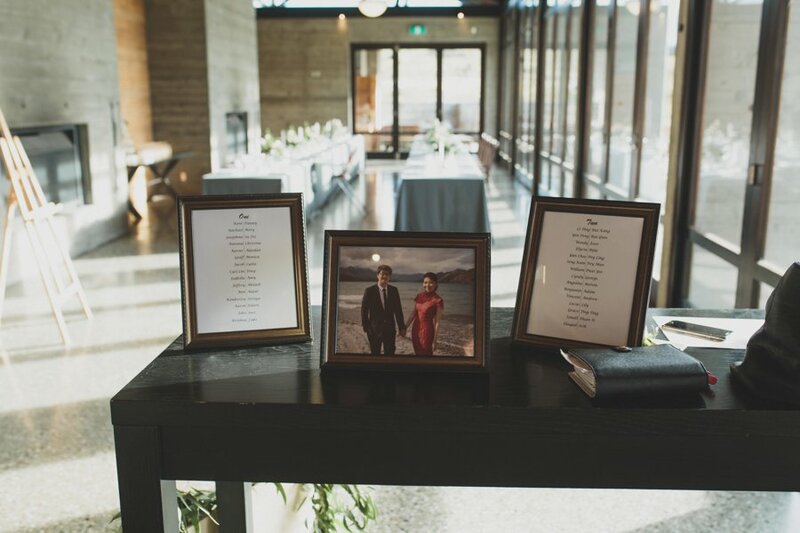 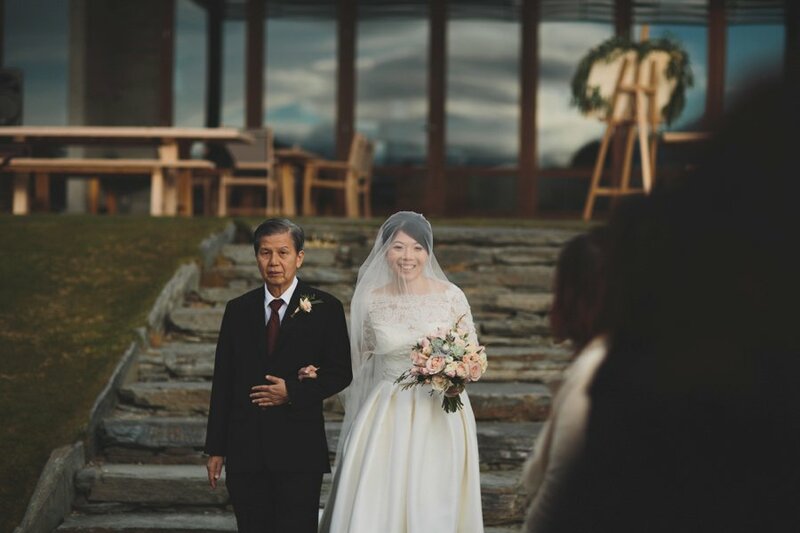 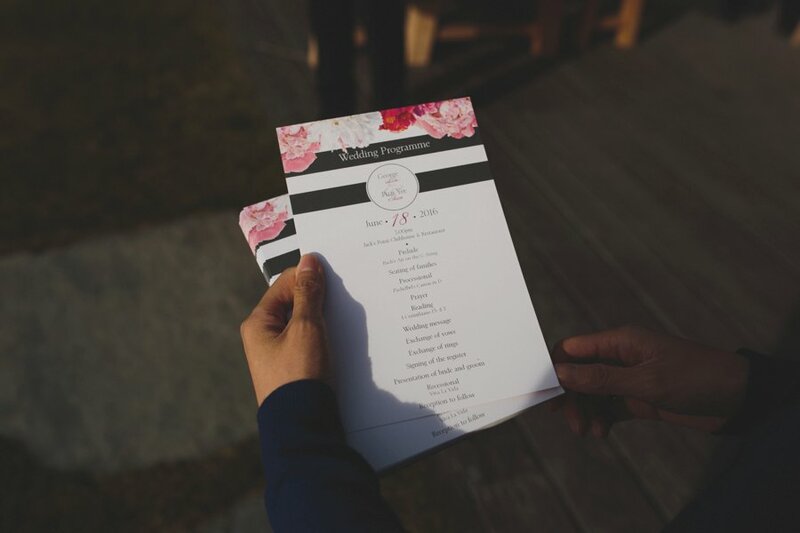 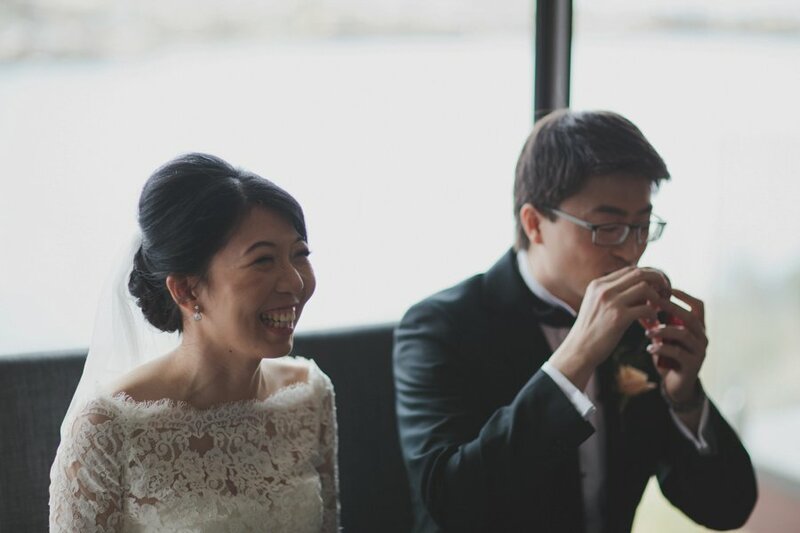 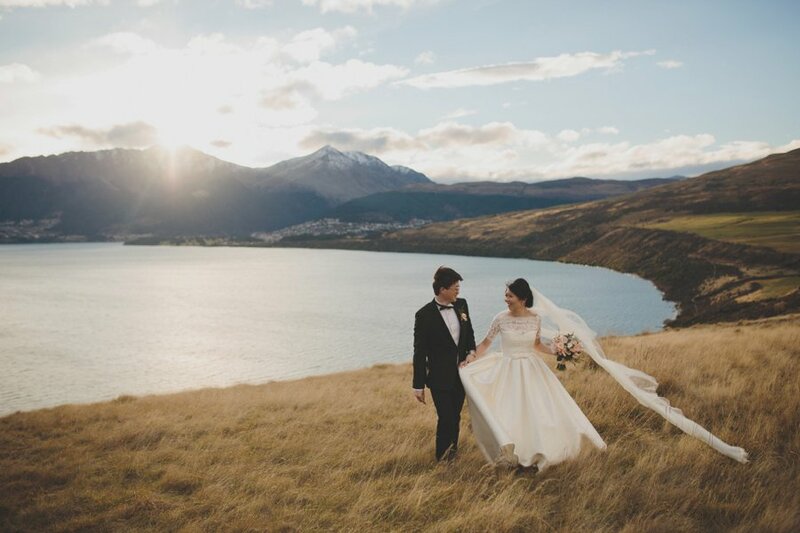 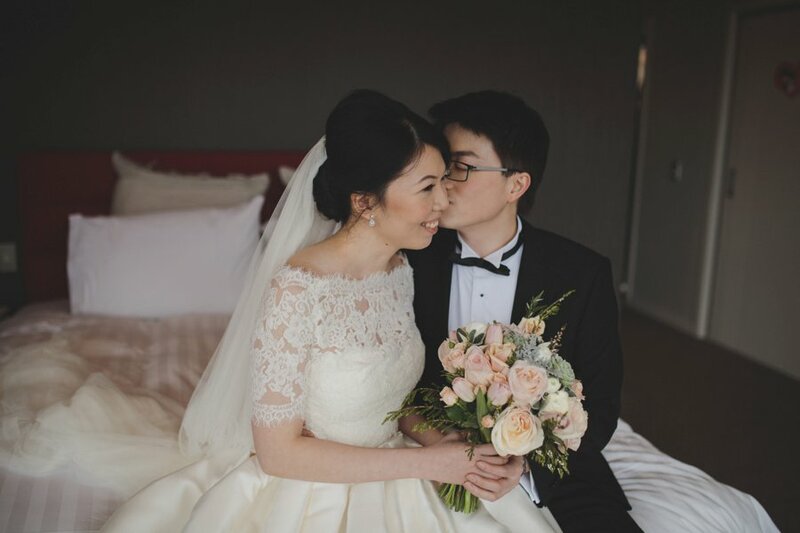 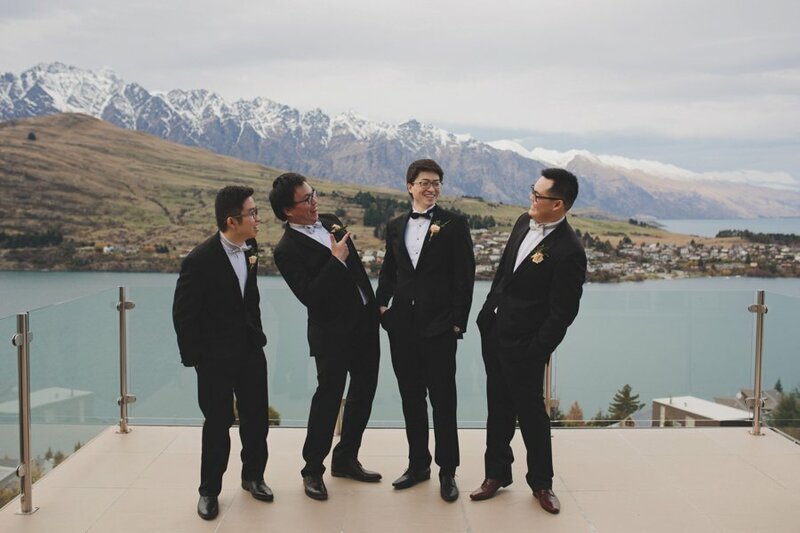 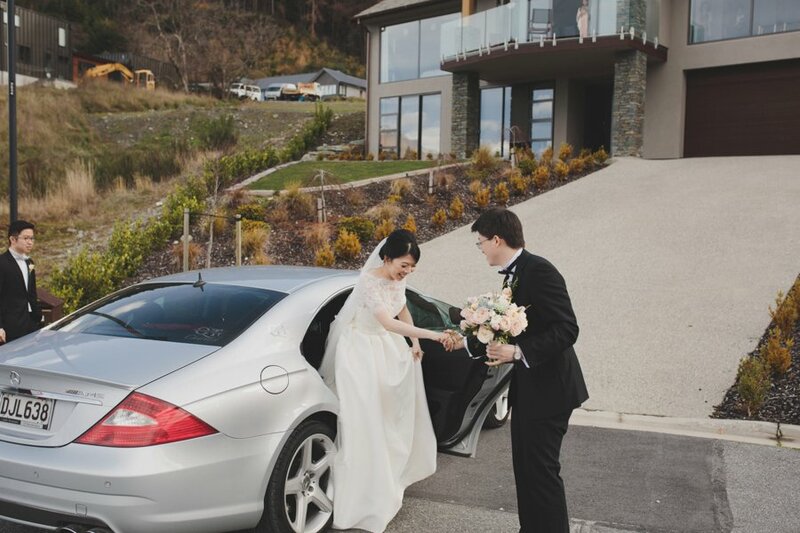 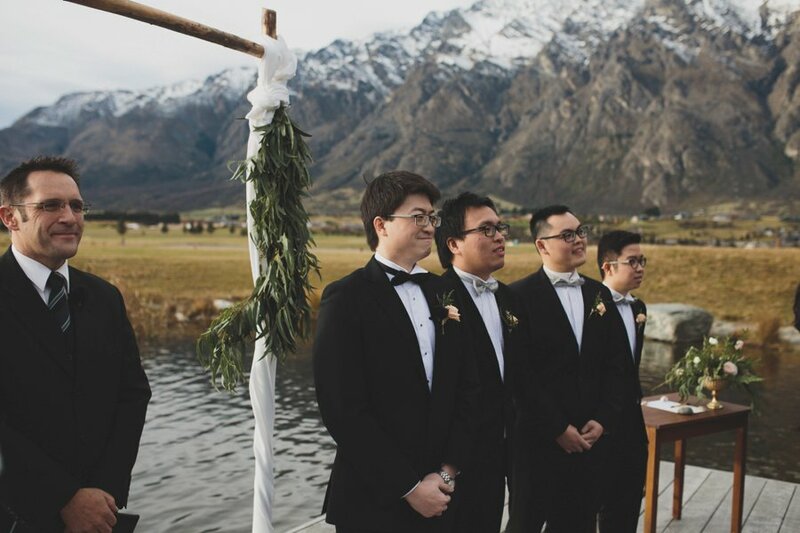 Puai Yee and George travelled down to Queenstown for their perfect Jack’s Point Wedding on a fresh winter’s afternoon. 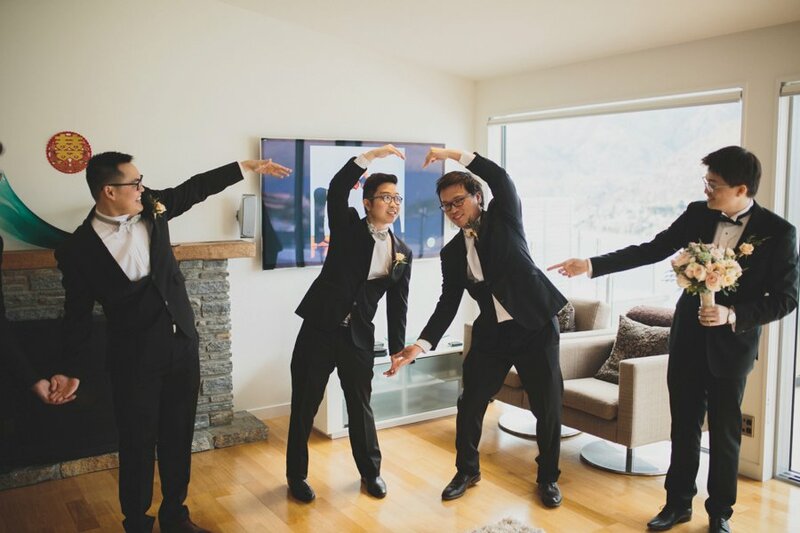 Fresh alright! 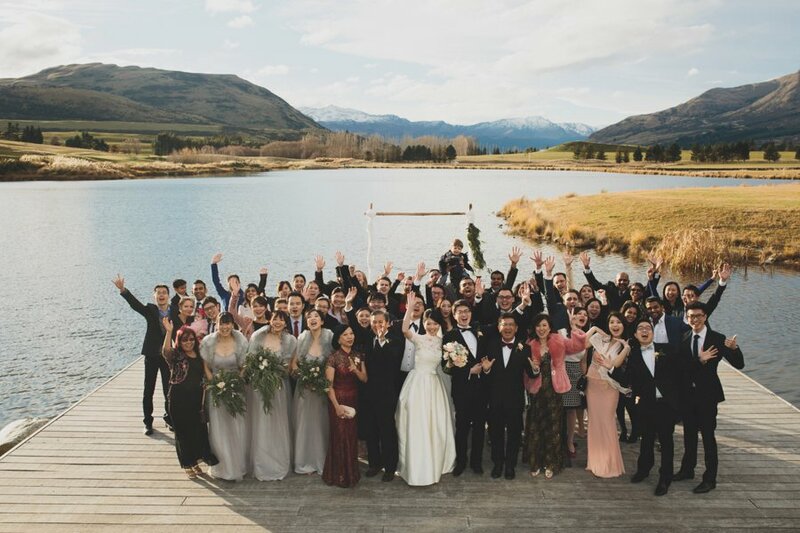 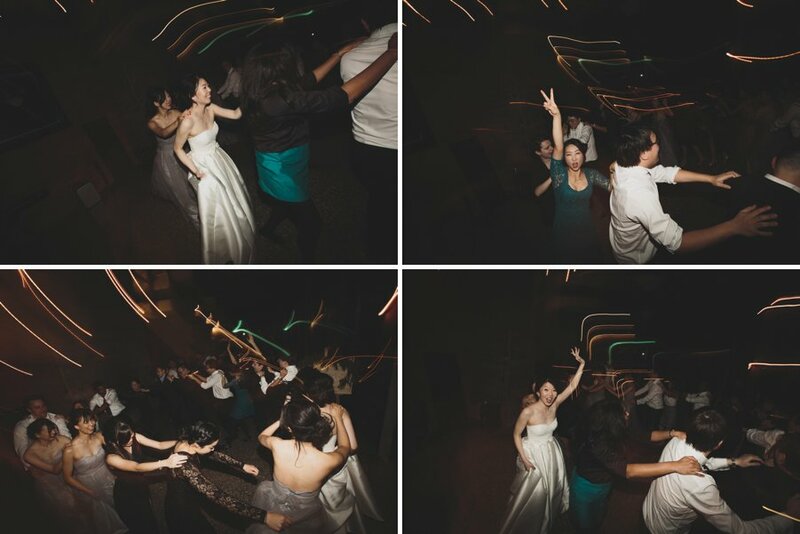 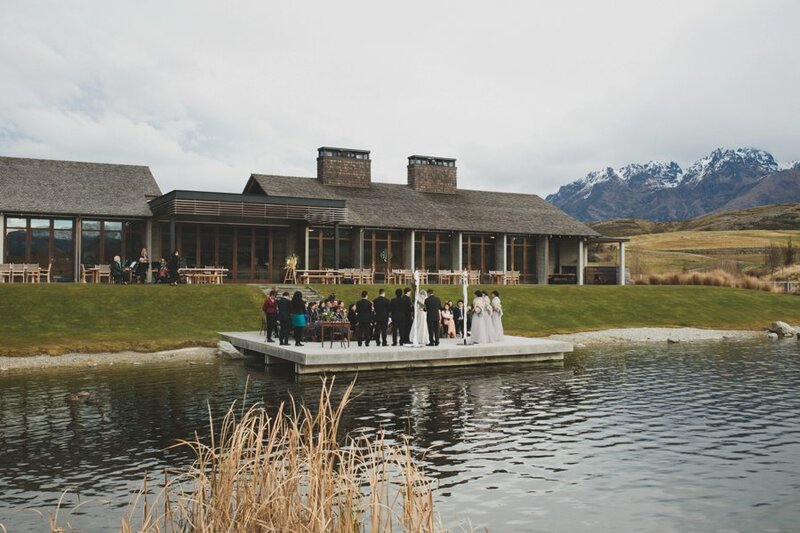 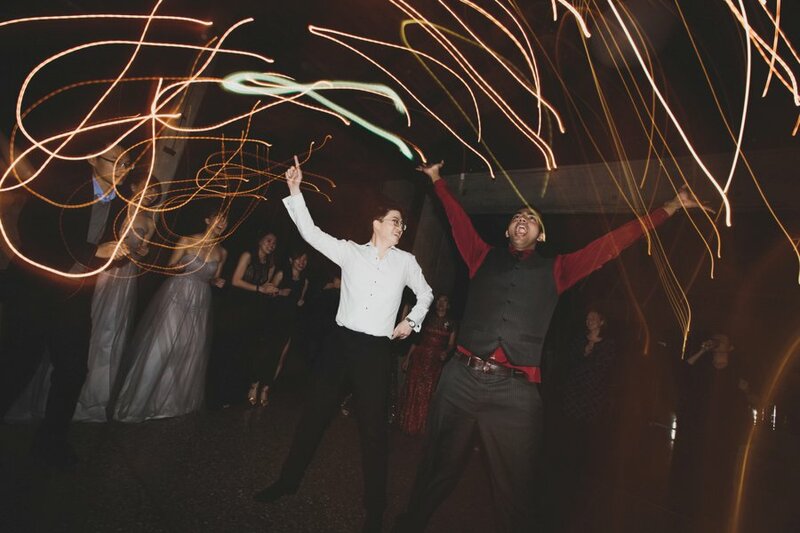 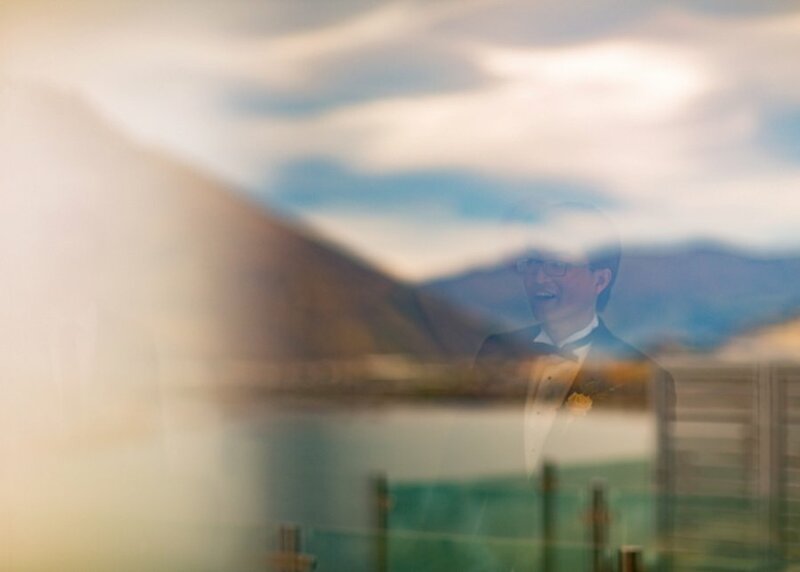 But their entire wedding party rocked the location shoot nearby overlooking moody Lake Wakatipu. 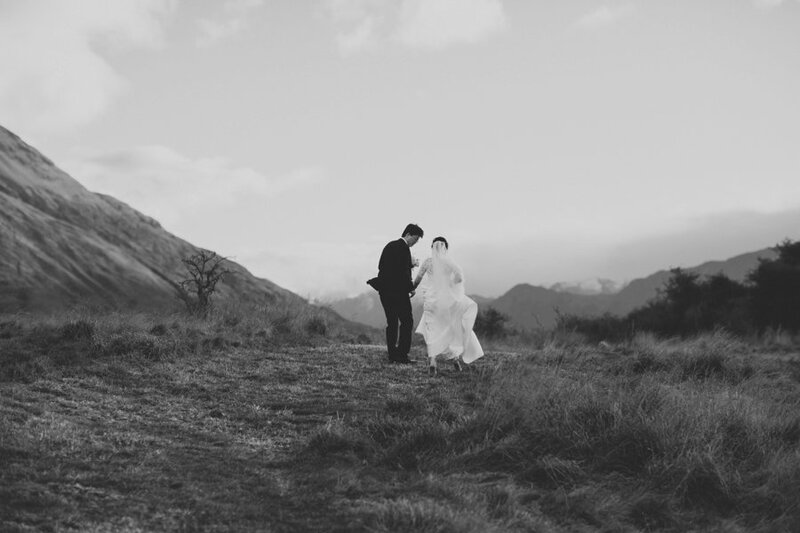 We made the most of the last 30min of light before it whisked behind Ben Lomond. 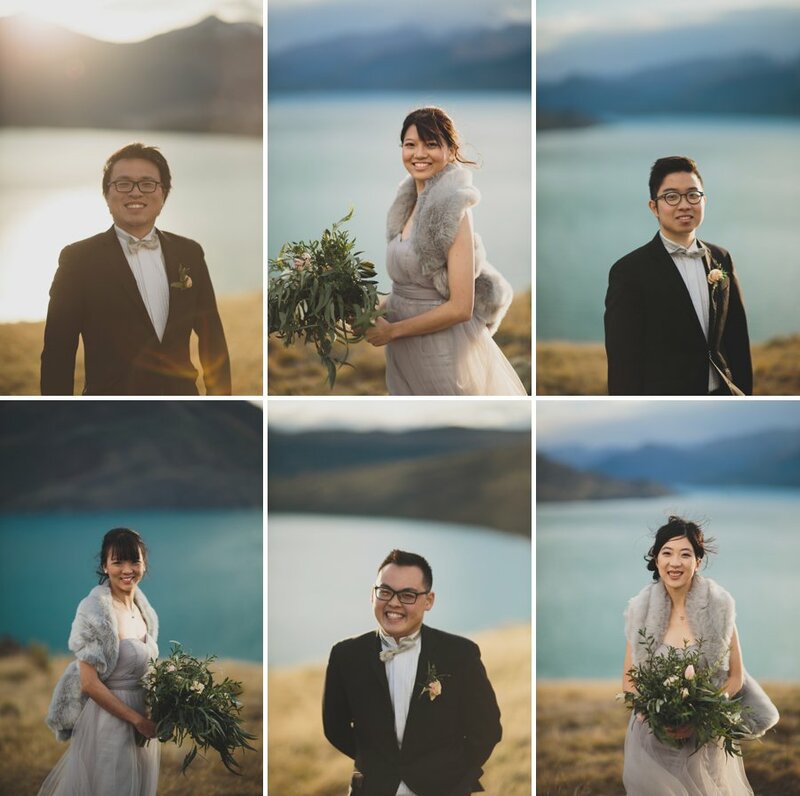 The golden light sure brought about some warmth, but it was still only around 4 degrees less the wind chill factor. 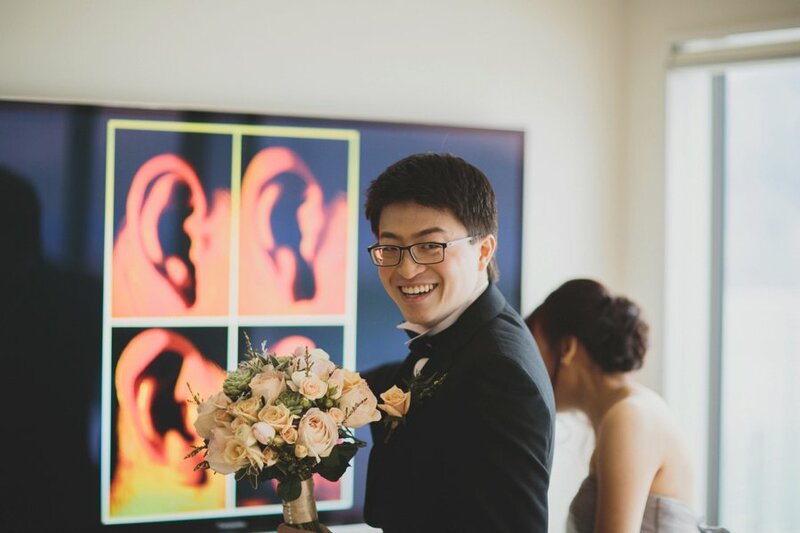 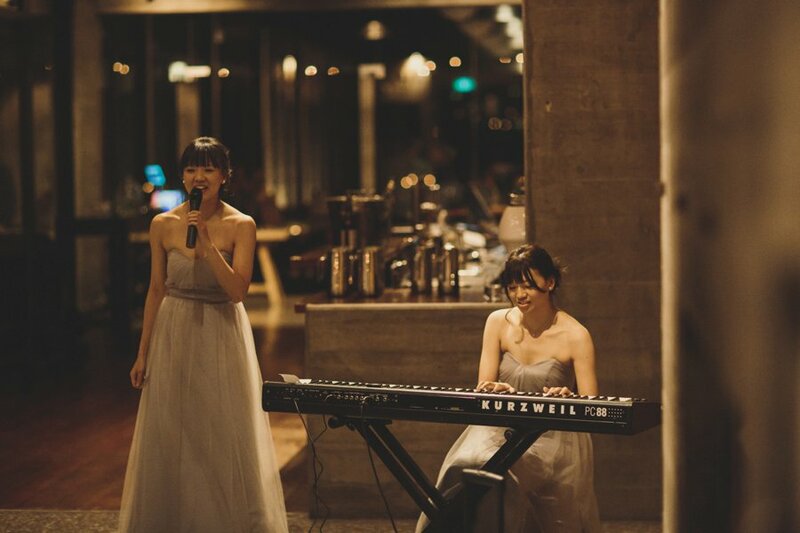 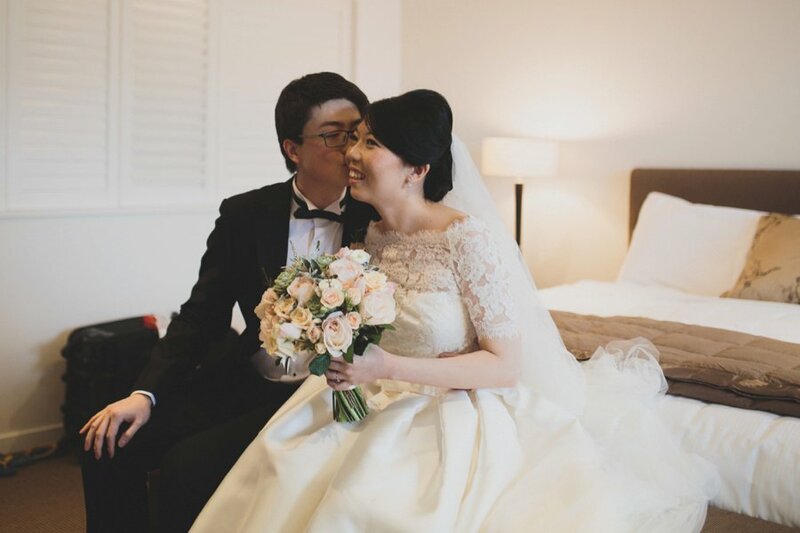 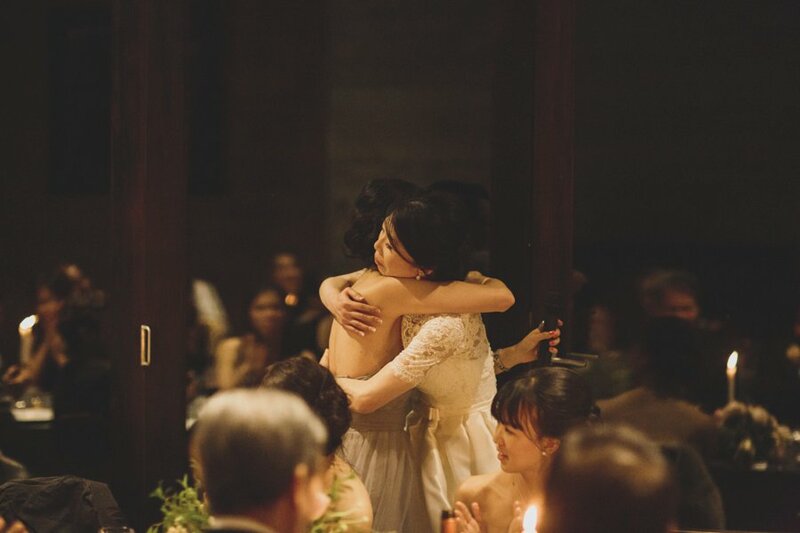 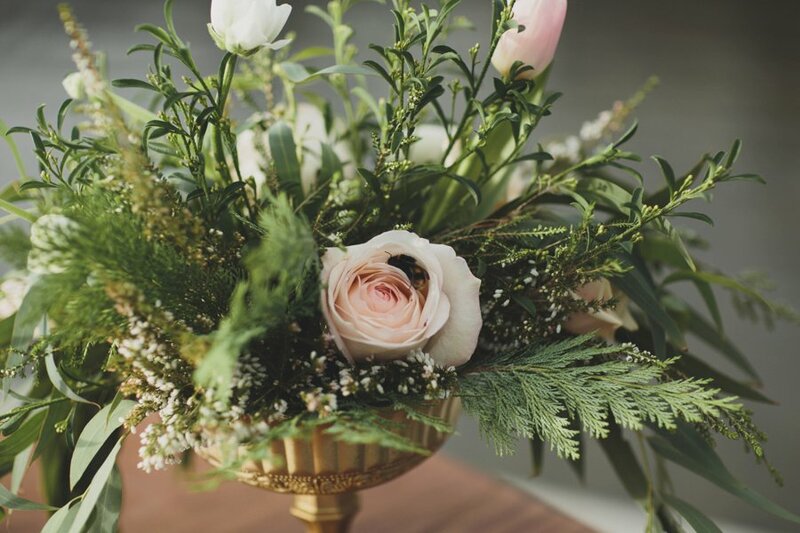 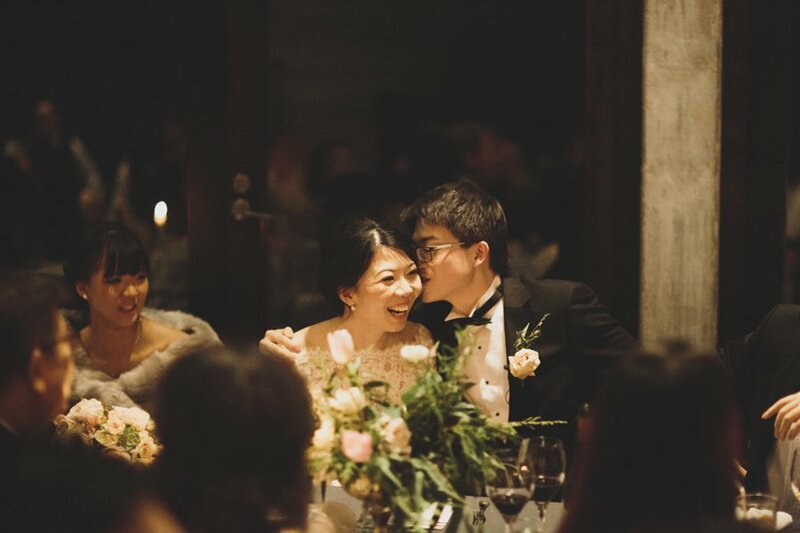 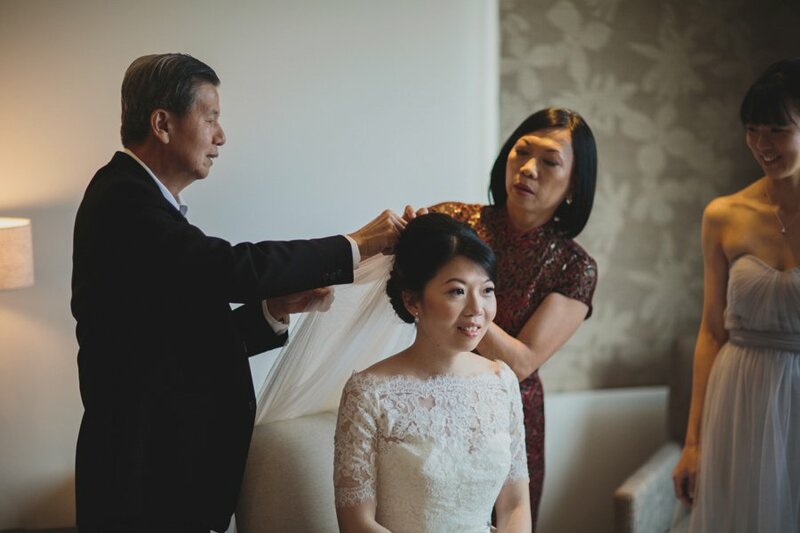 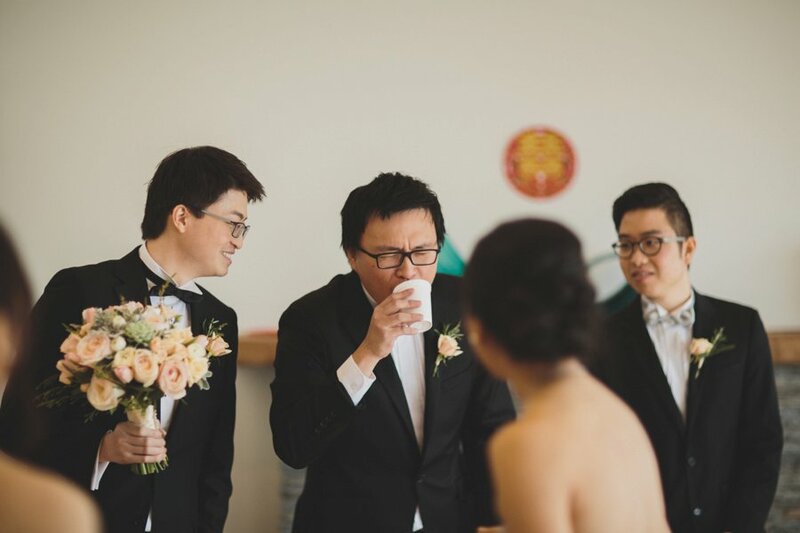 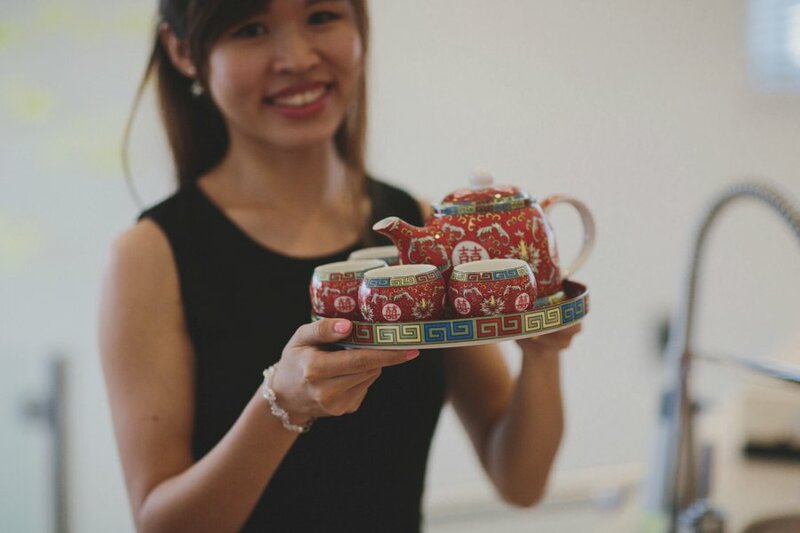 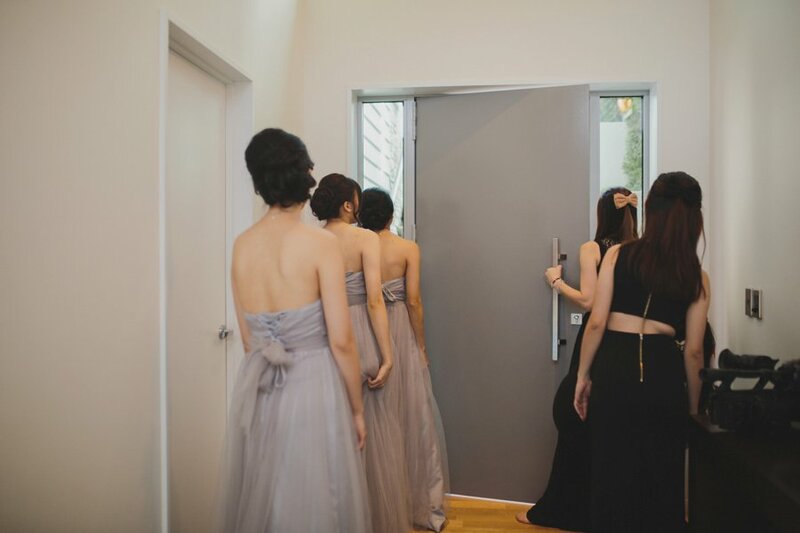 Puai Yee and George’s wedding also had some beautiful styling put together by Colour Me Happy and floral arrangements by The Flower Room. 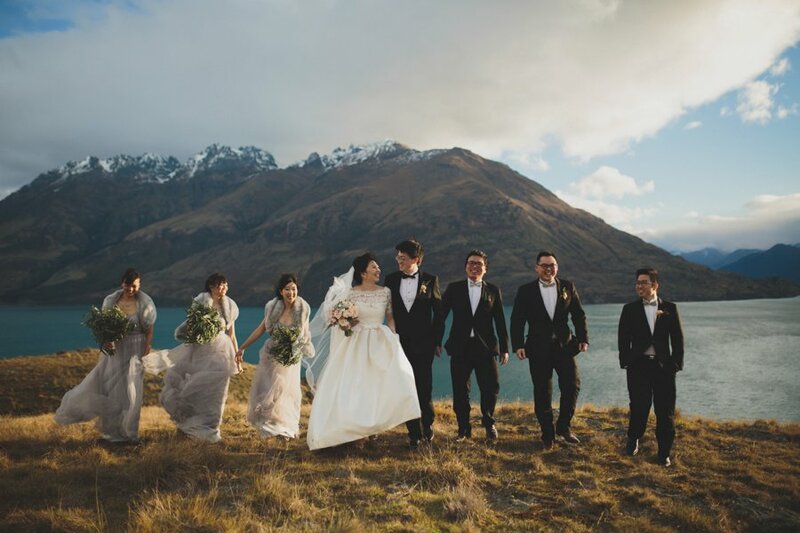 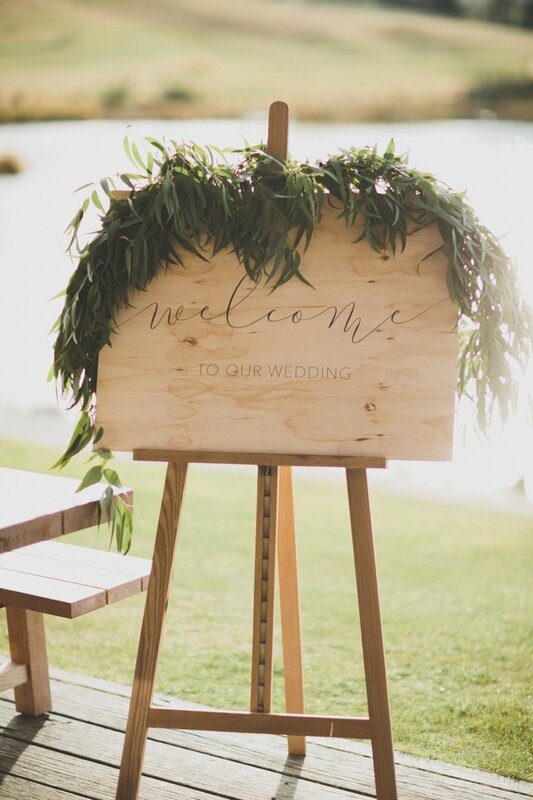 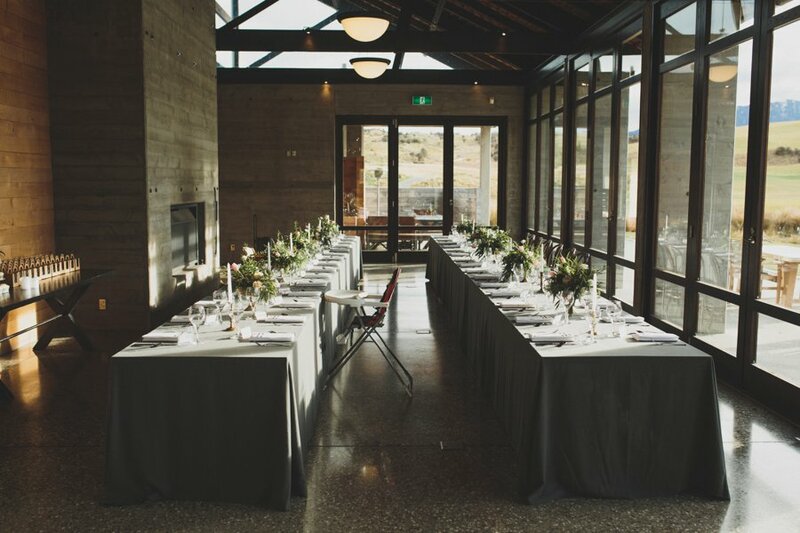 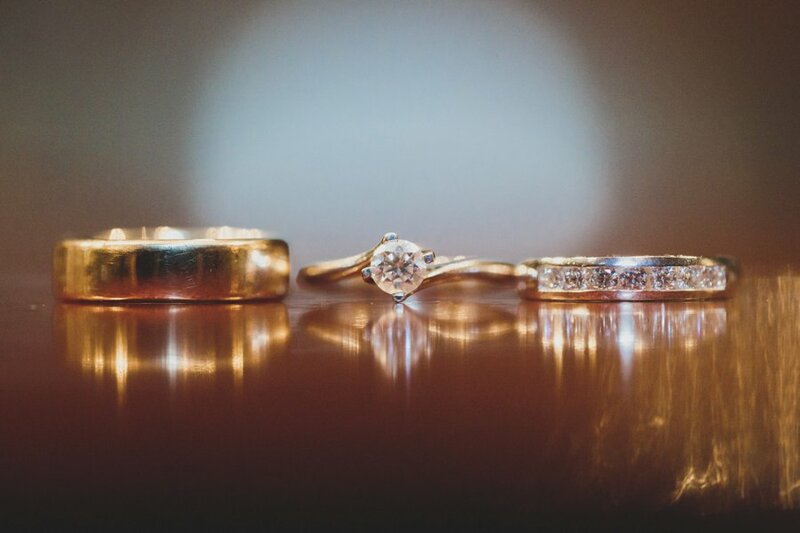 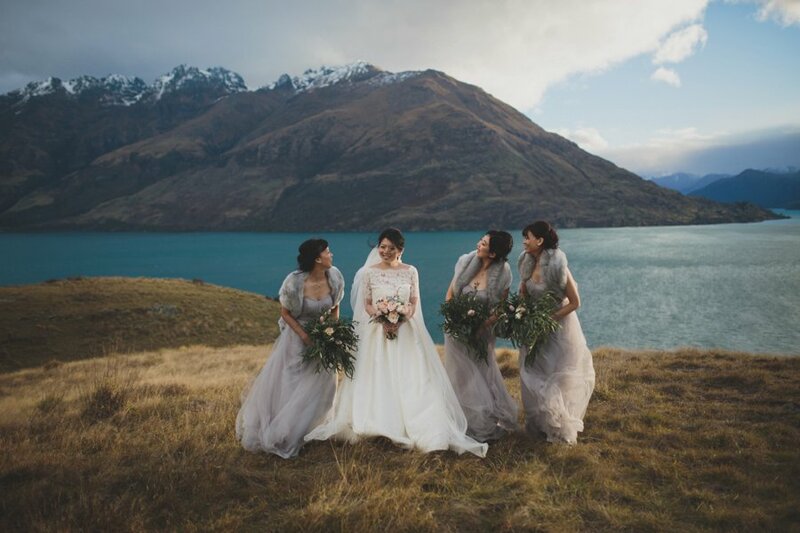 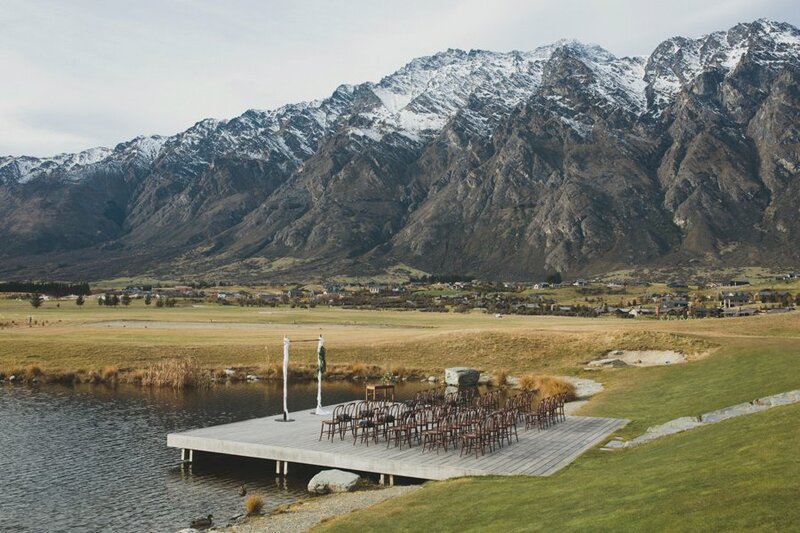 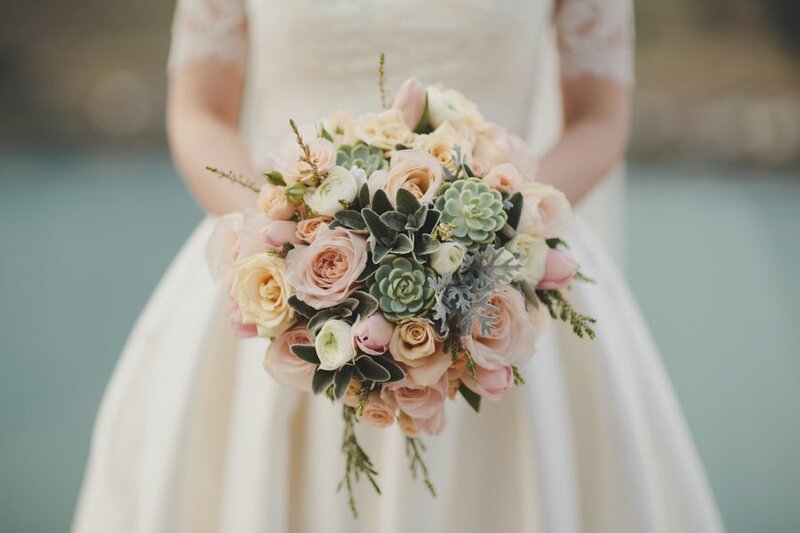 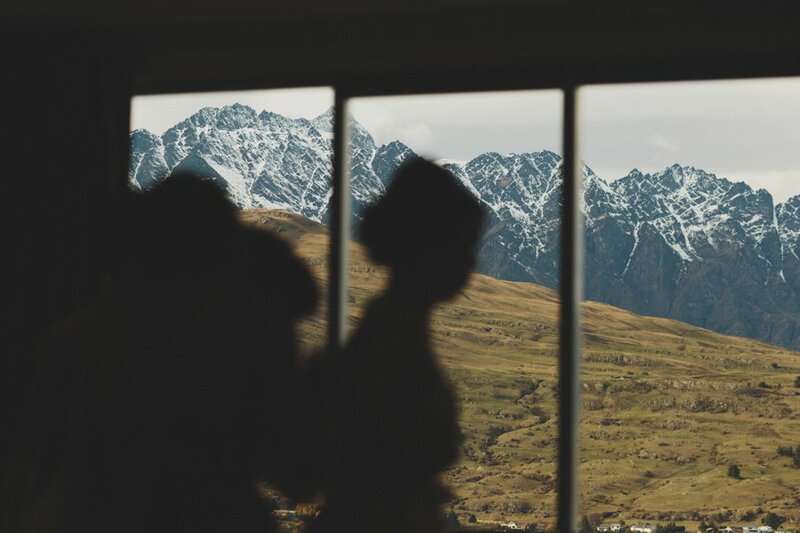 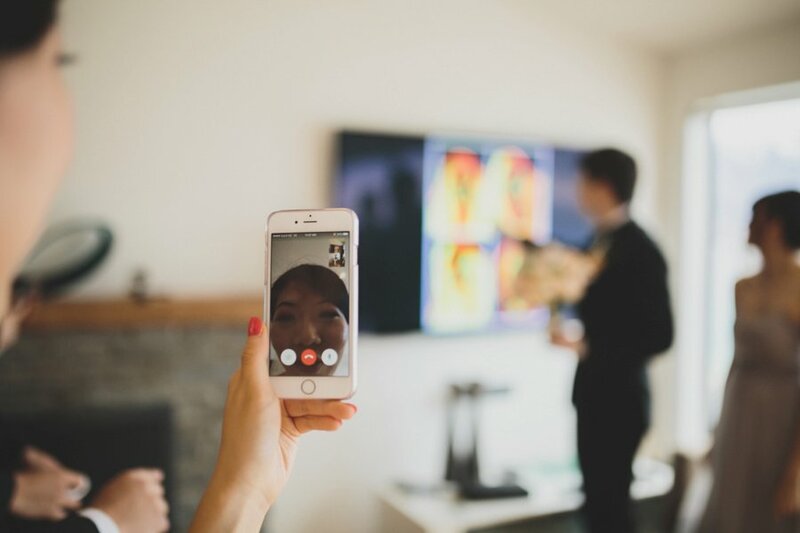 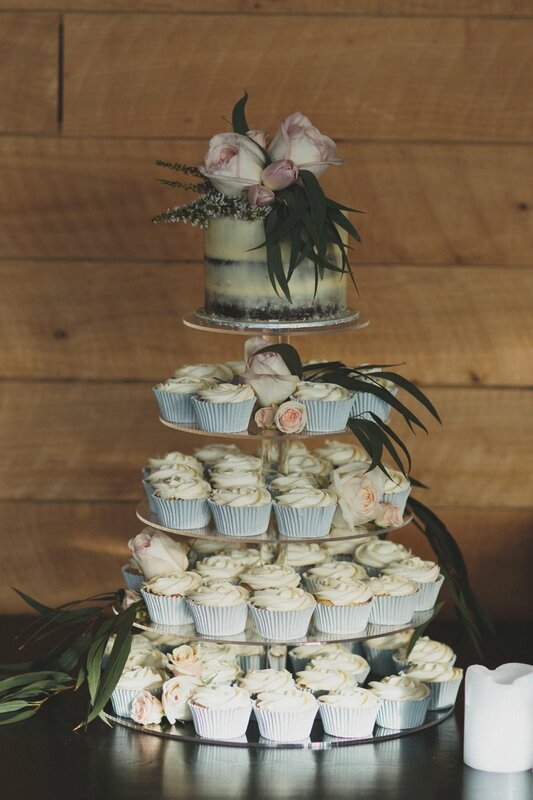 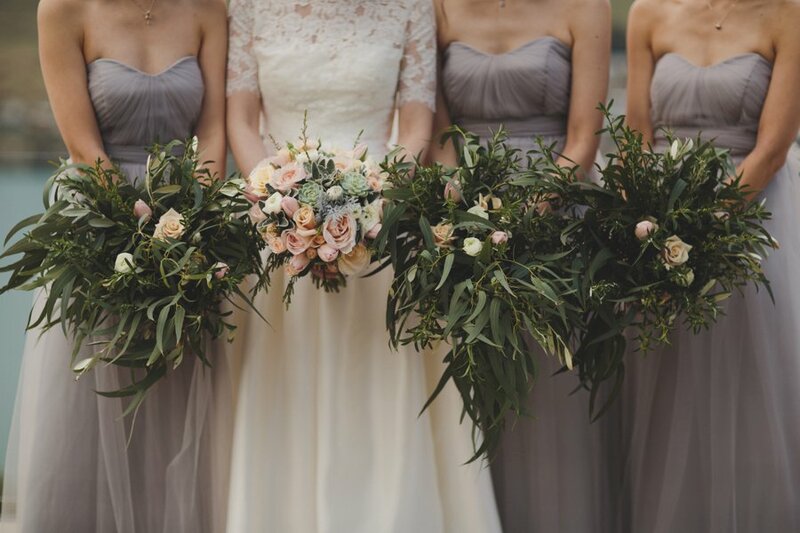 Thanks so much for having me there capturing your Queenstown wedding!